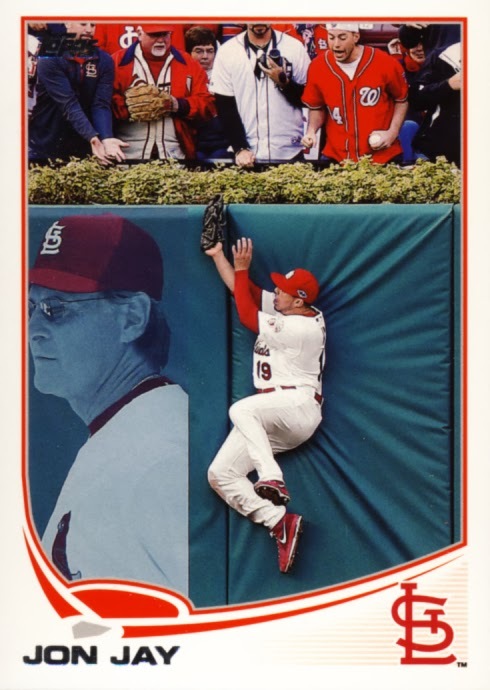 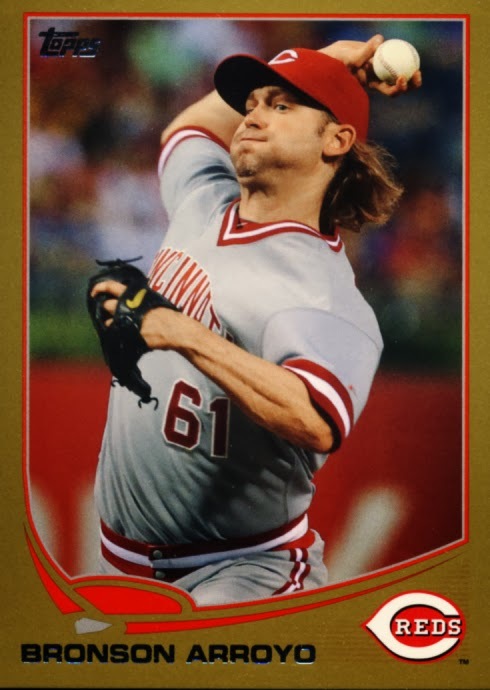 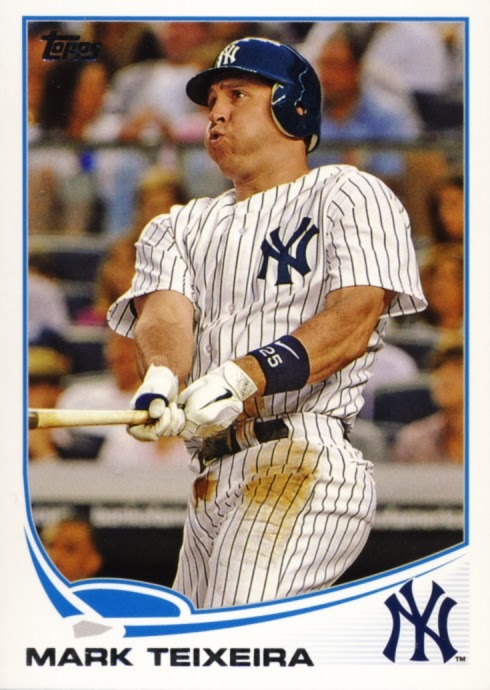 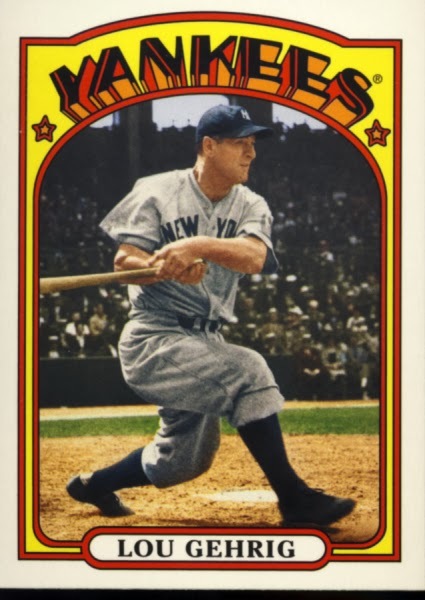 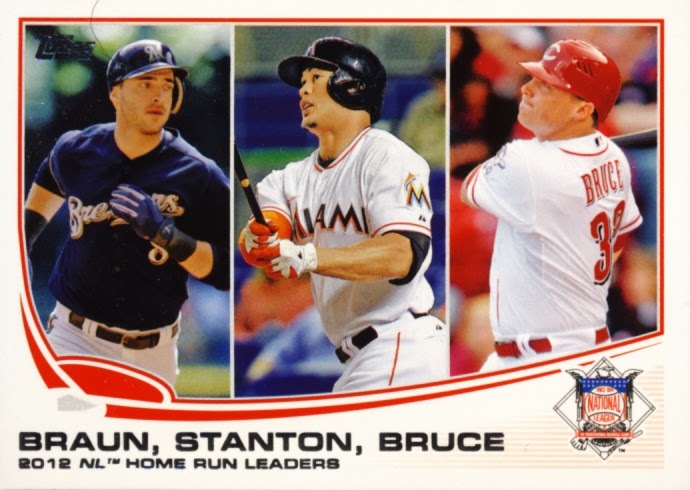 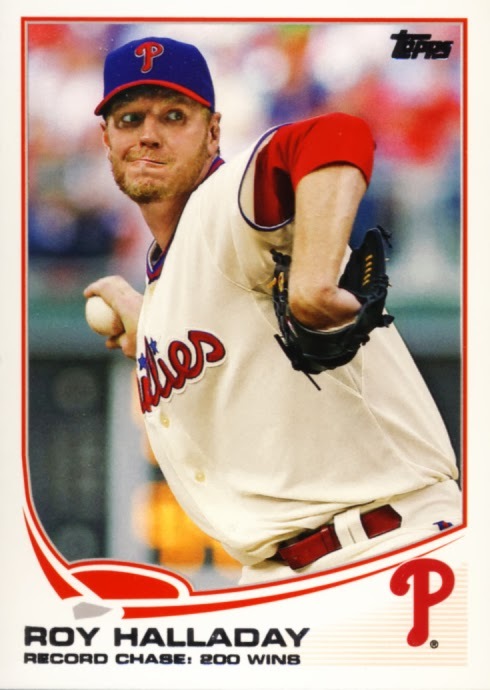 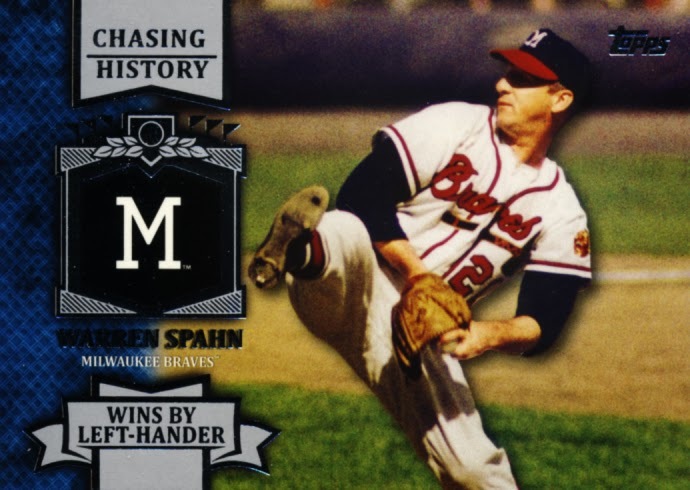 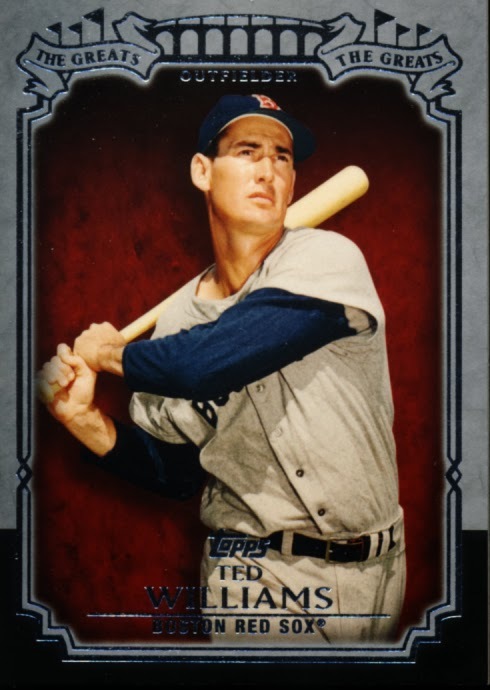 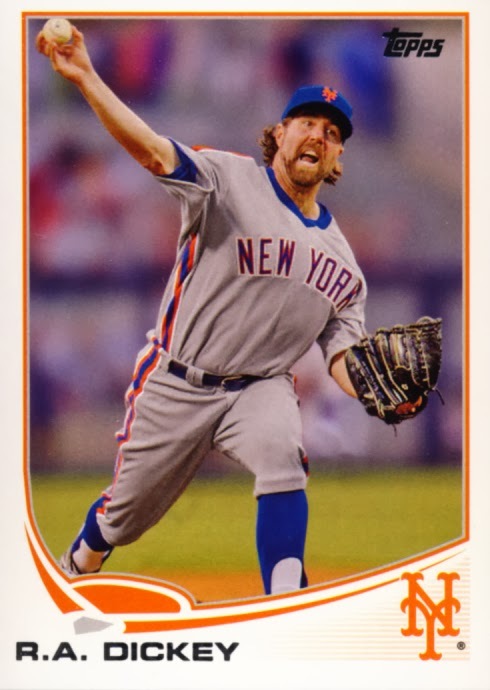 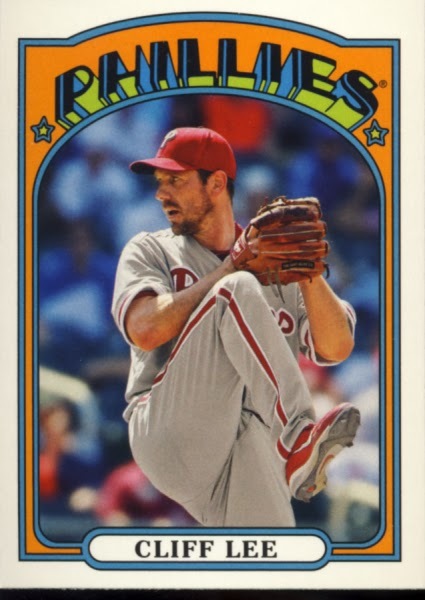 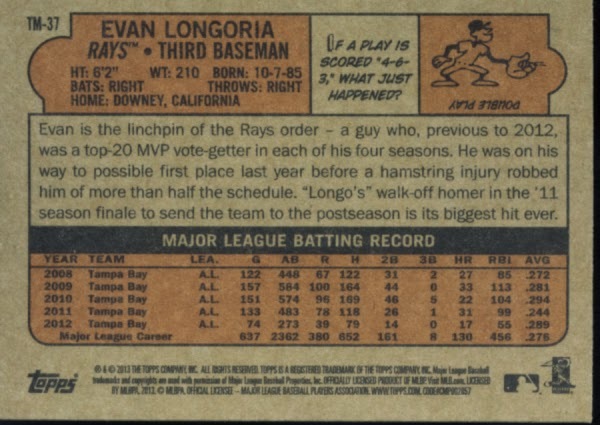 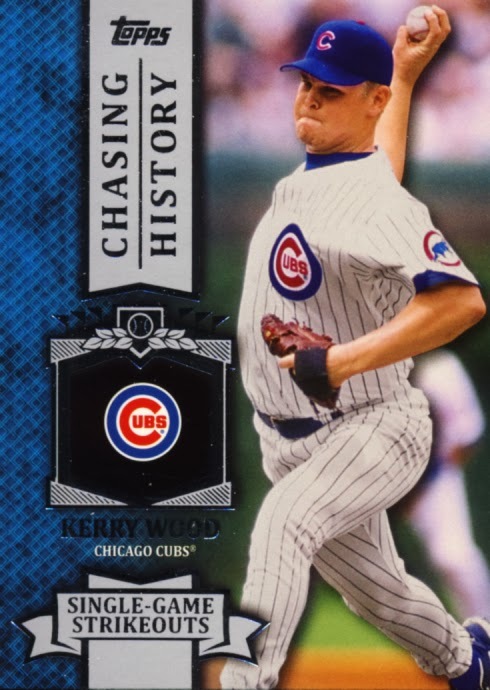 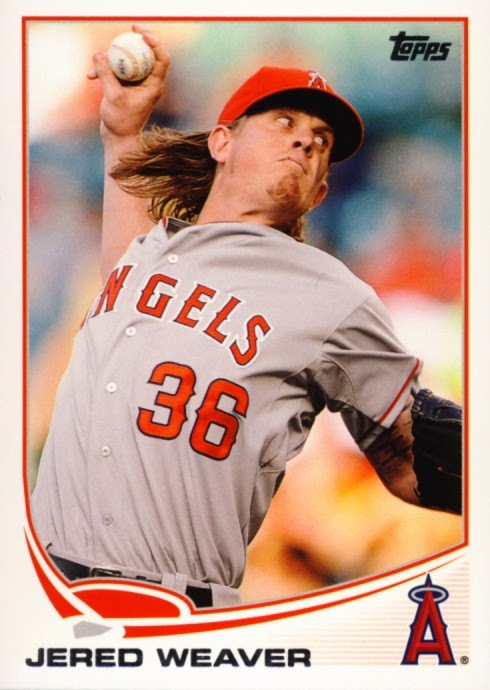 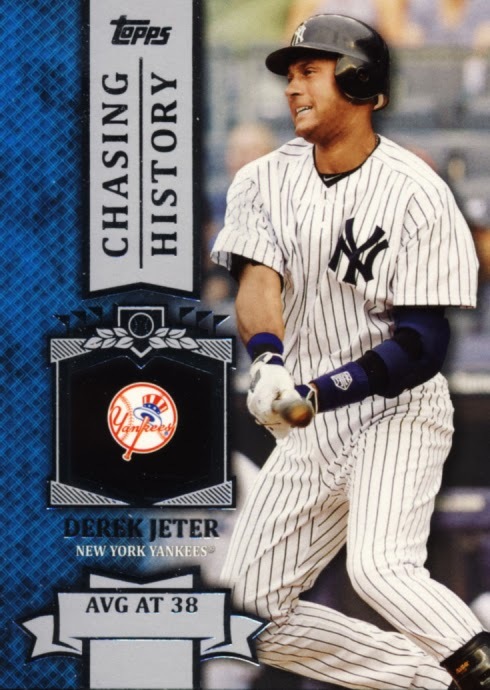 Reviewing Topps' flagship Baseball Card release is just an exercise in personal taste. 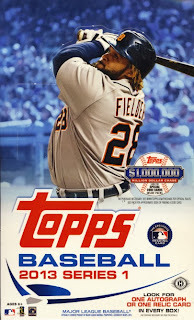 It is a given that any Baseball card collector should include Topps Baseball Series 1 & 2 in their collection each year. 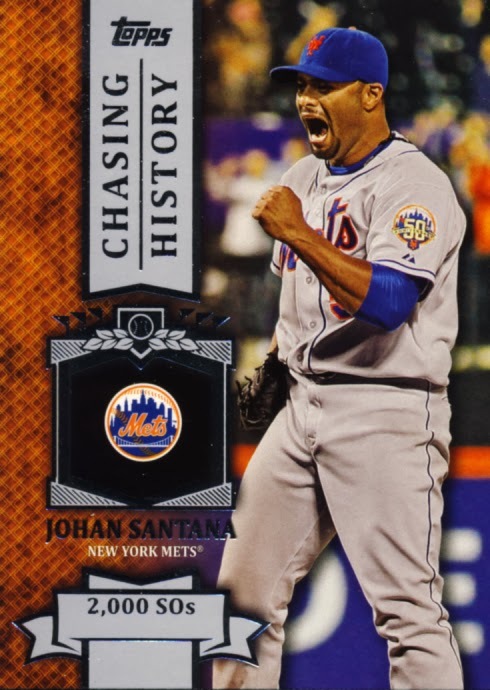 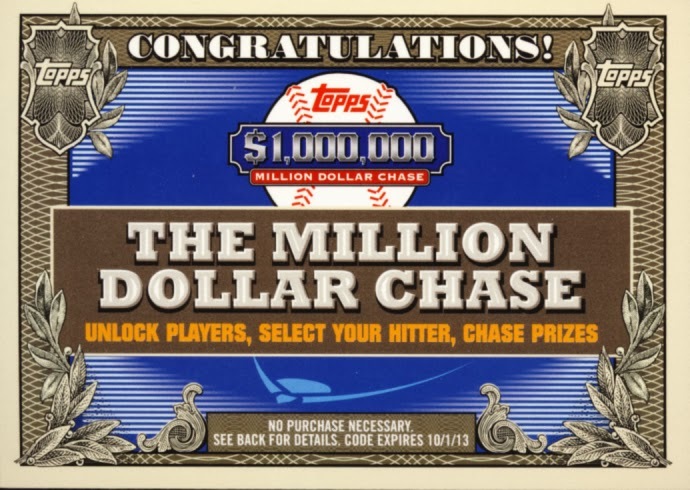 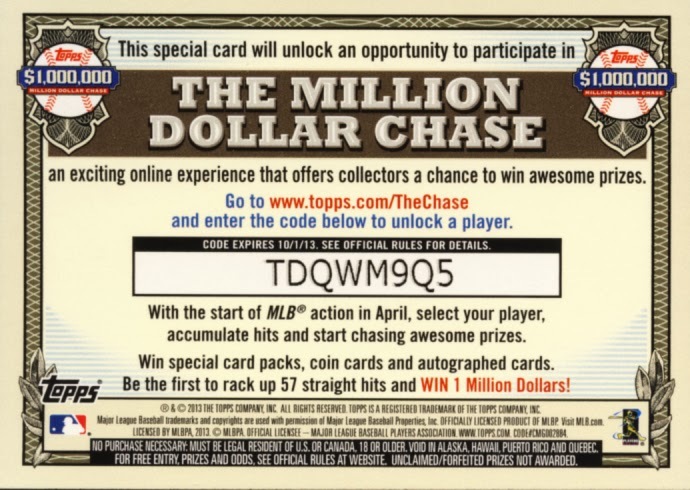 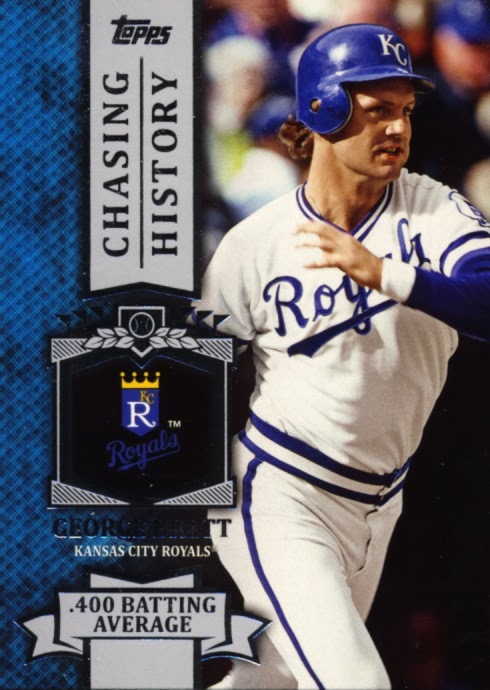 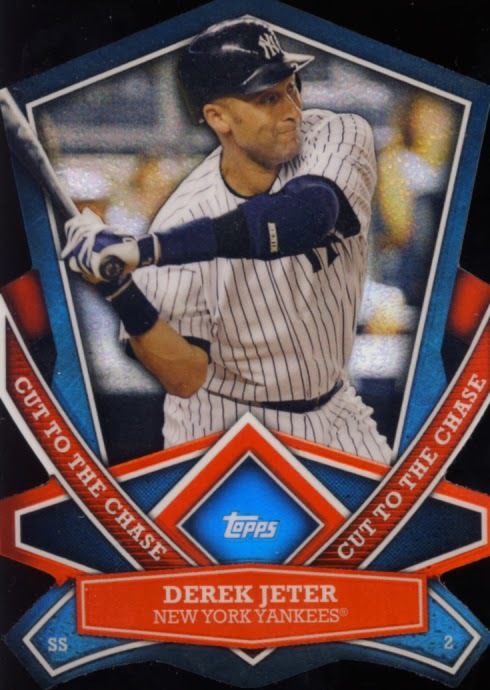 2013 Topps Baseball is all about "The Chase" and that theme permeates from base to inserts to hits. 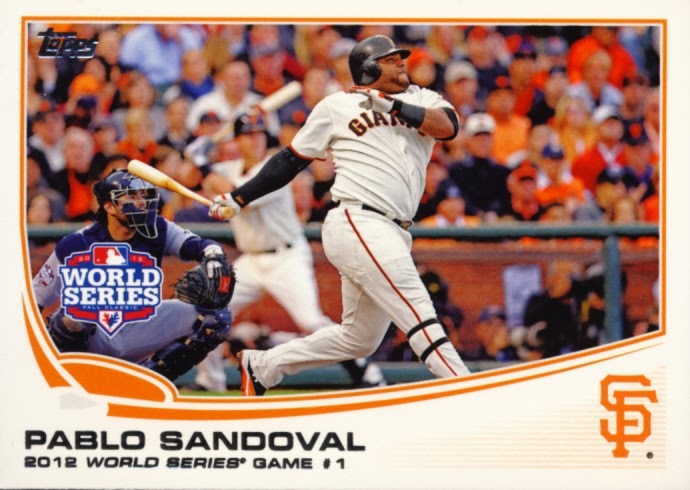 Everything about this year's version is on par with past releases, walking the middle ground when it comes to design which should appeal to a wide range of tastes. 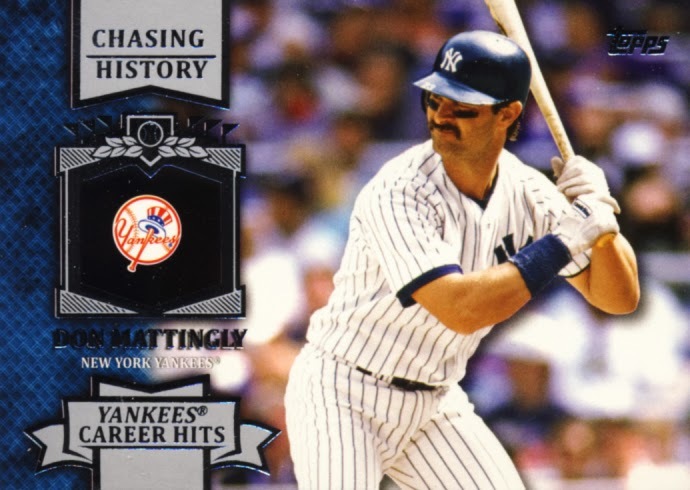 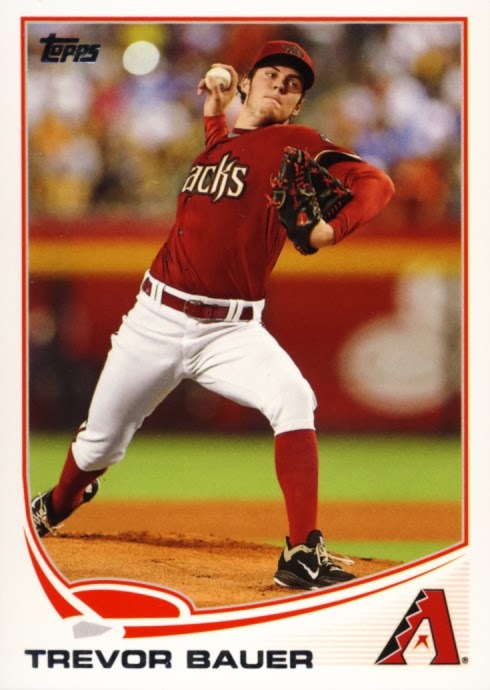 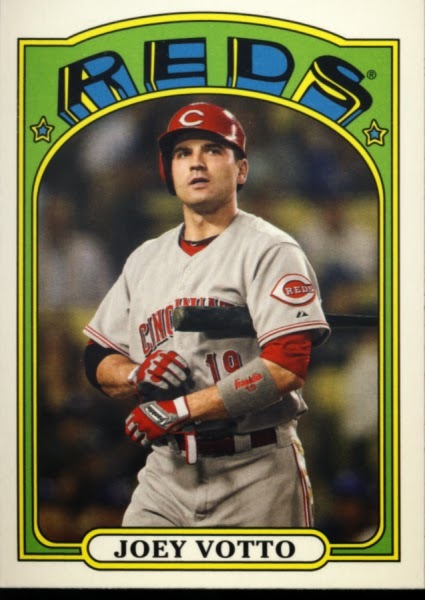 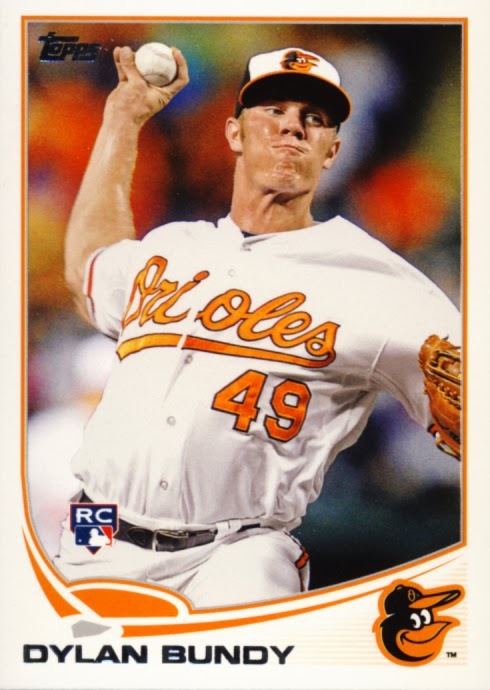 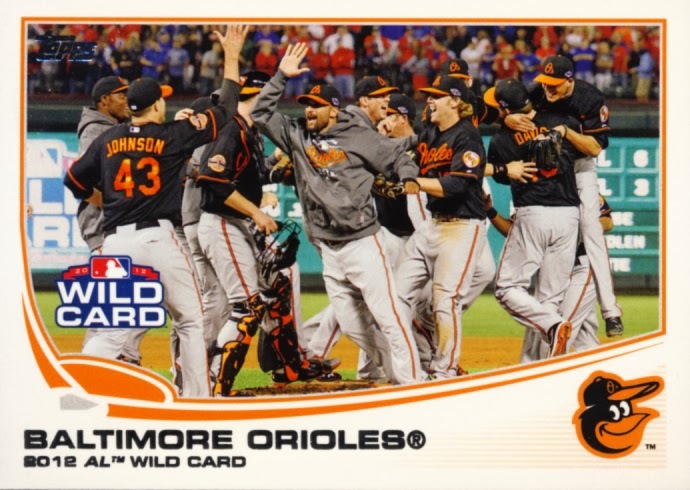 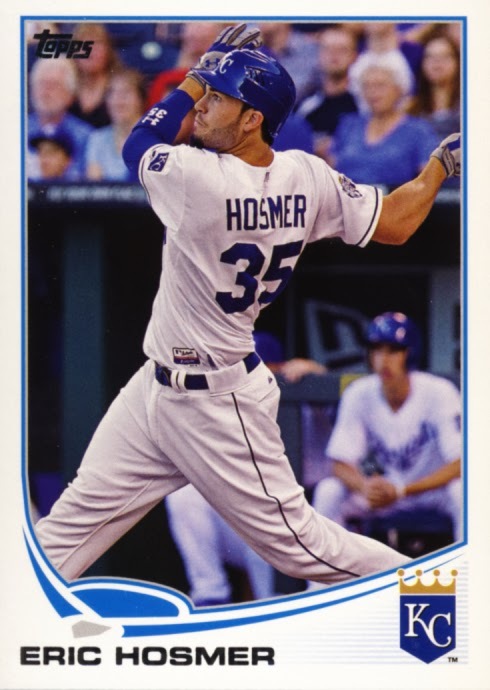 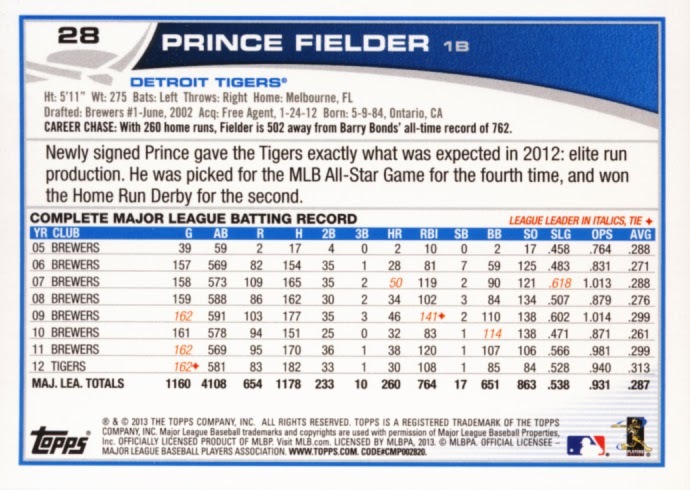 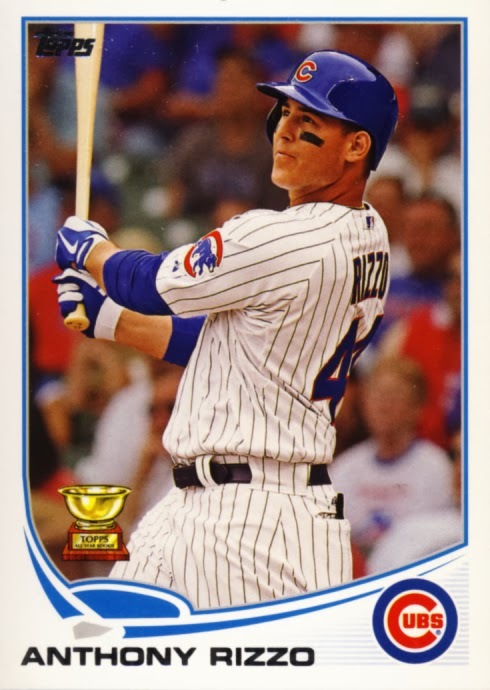 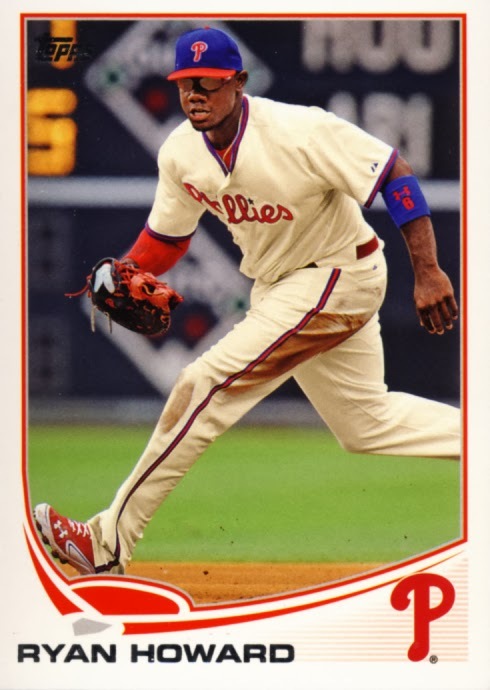 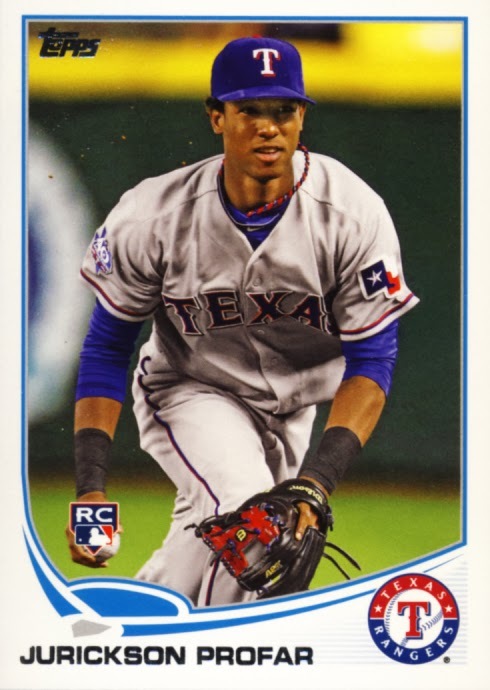 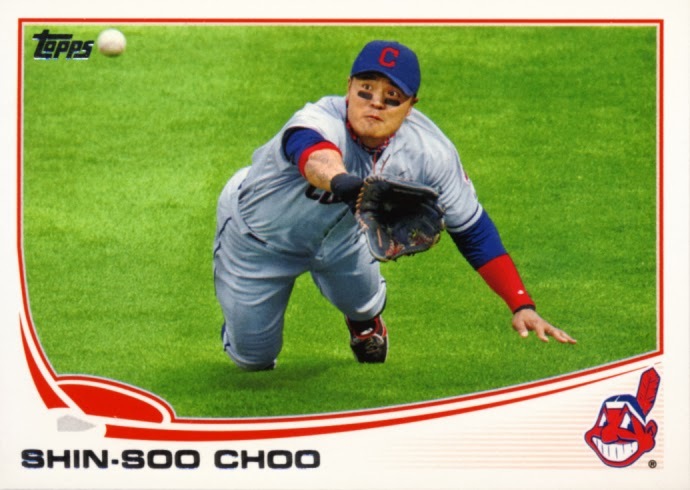 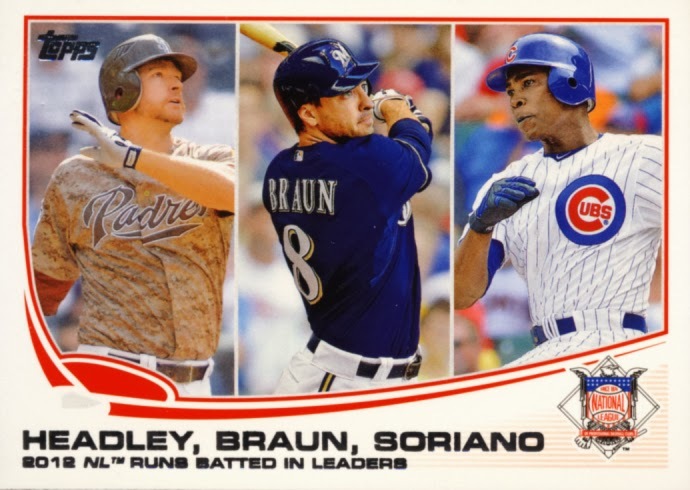 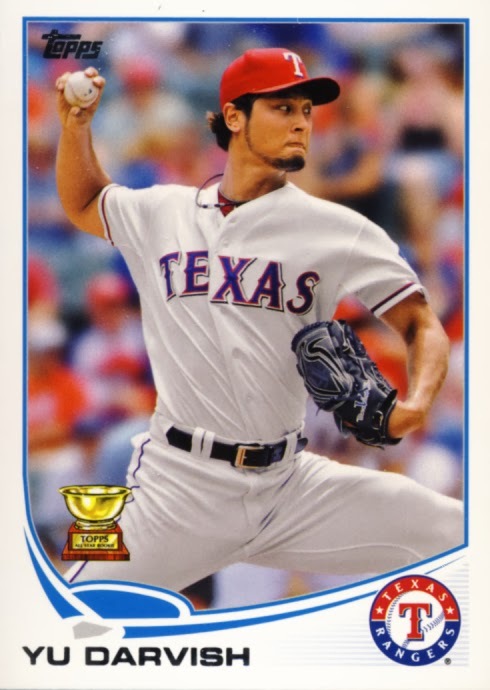 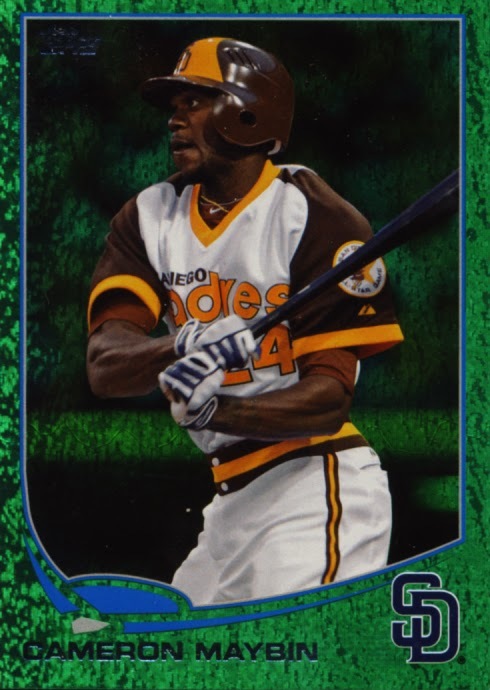 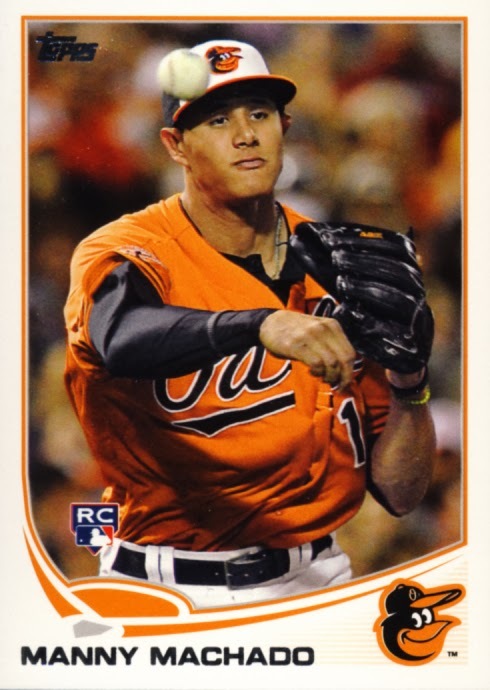 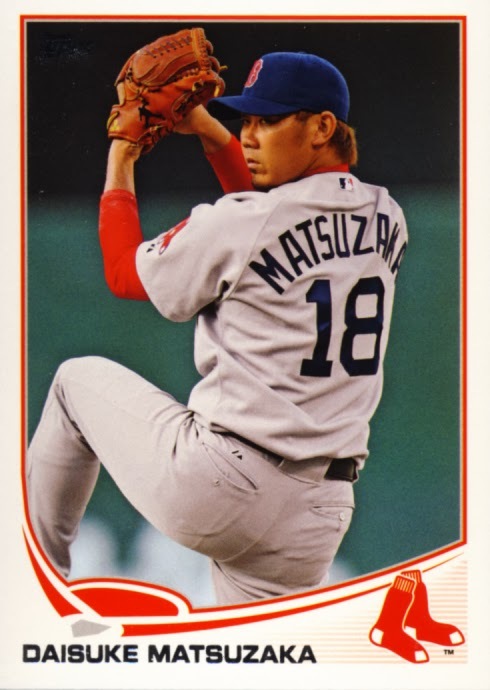 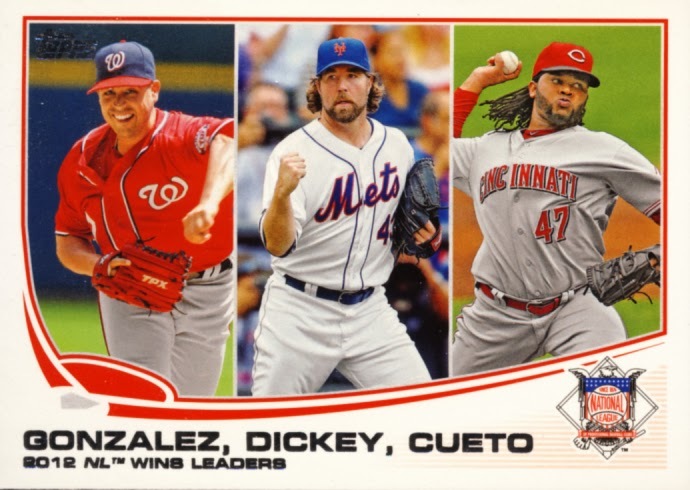 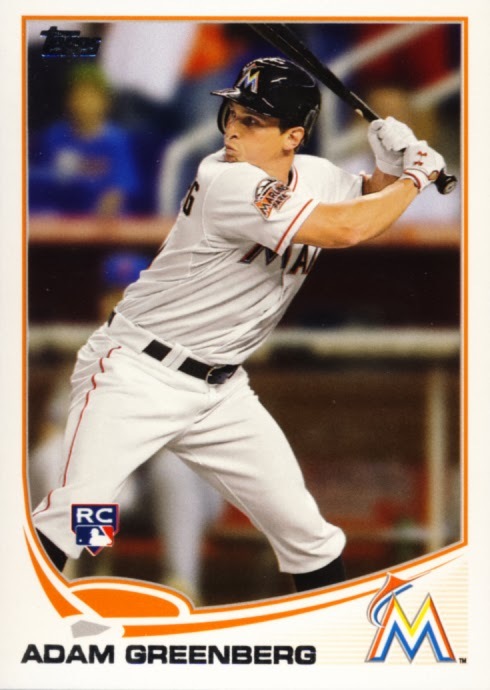 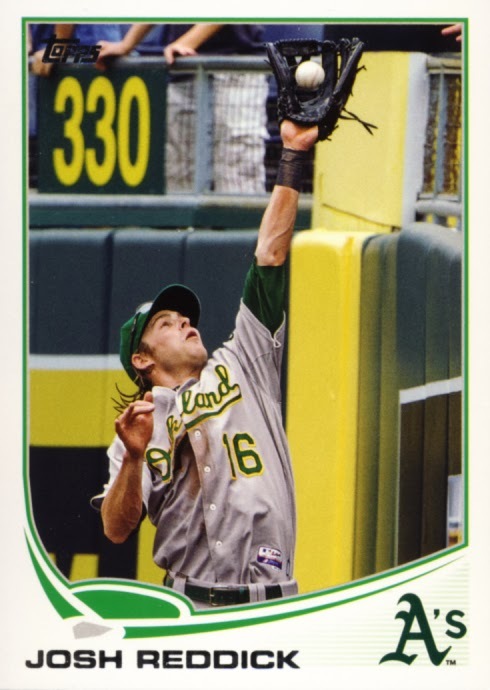 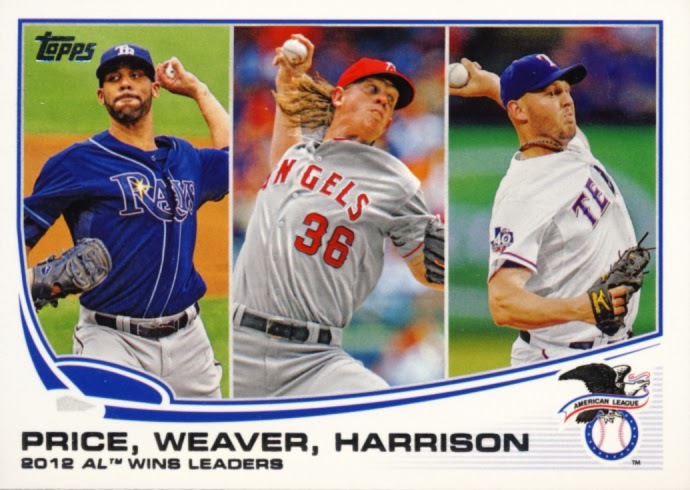 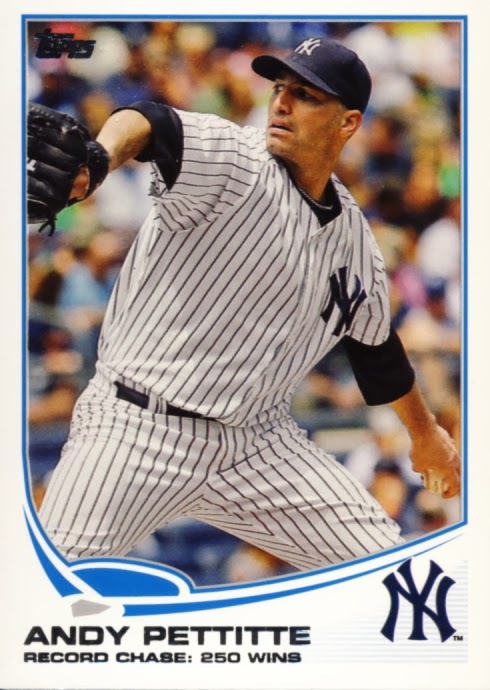 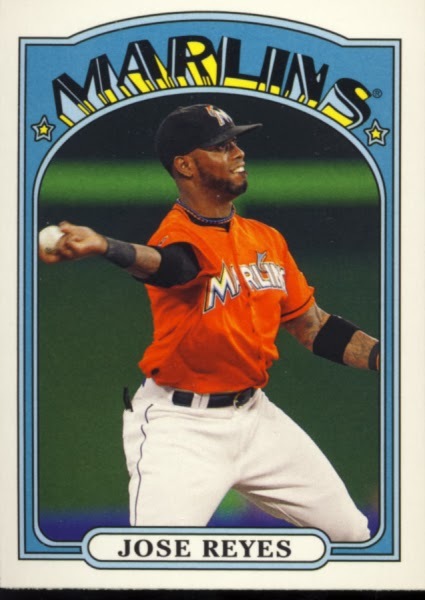 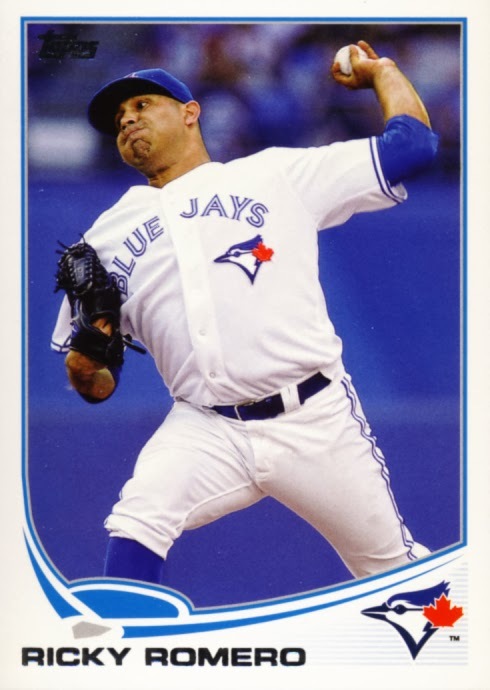 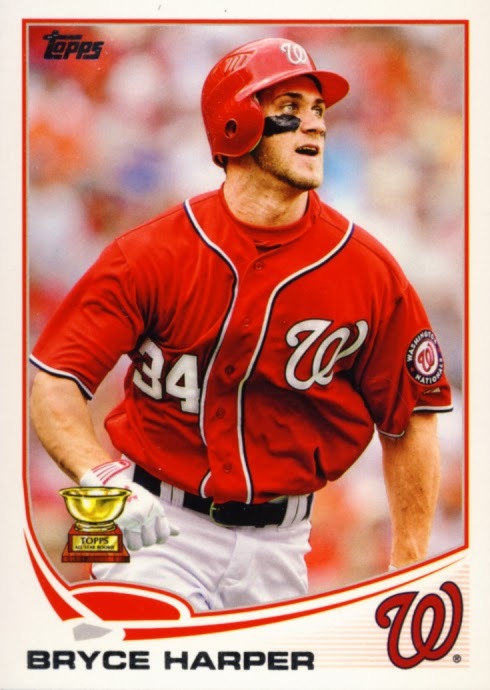 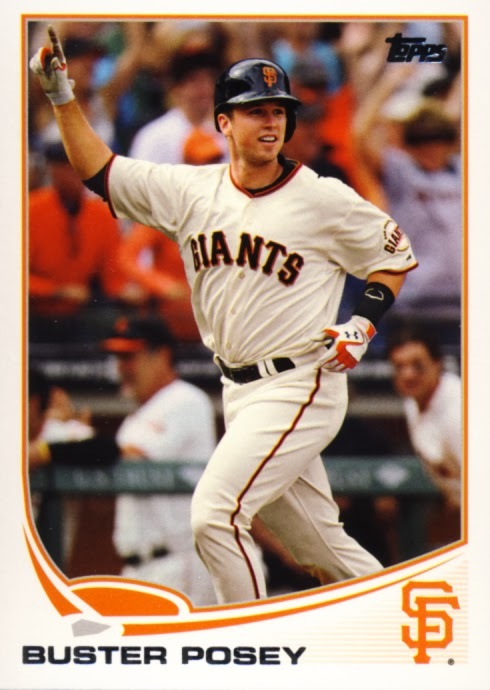 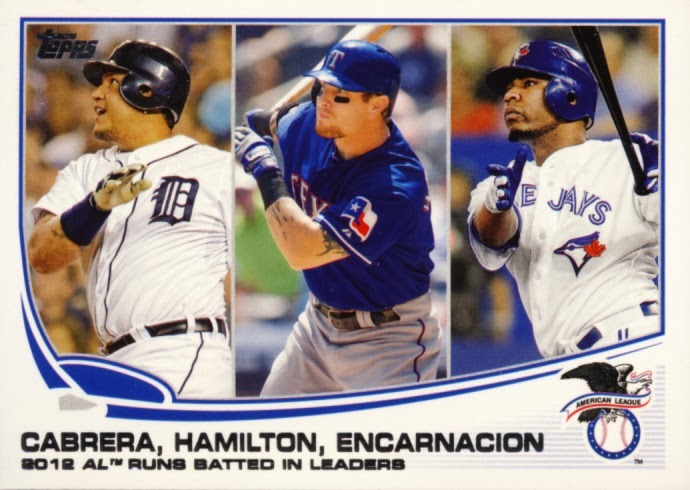 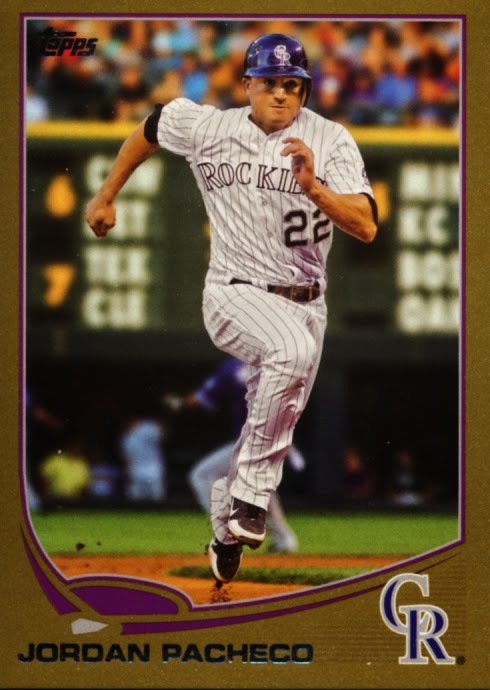 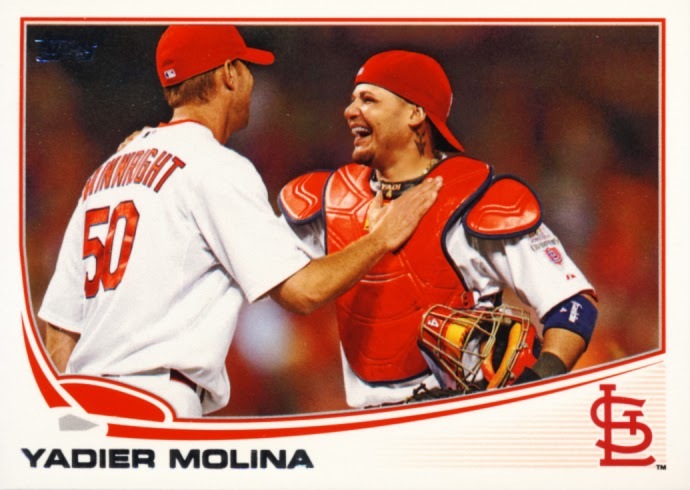 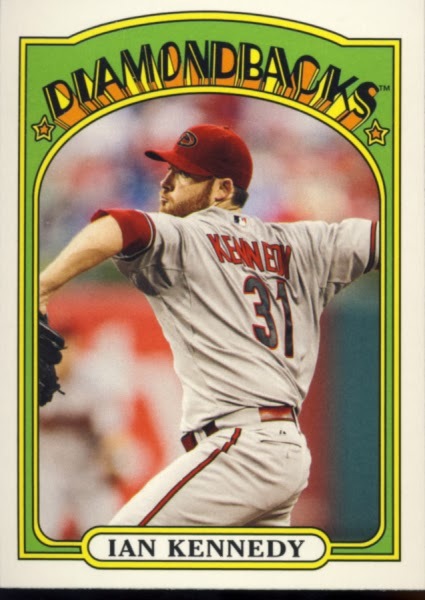 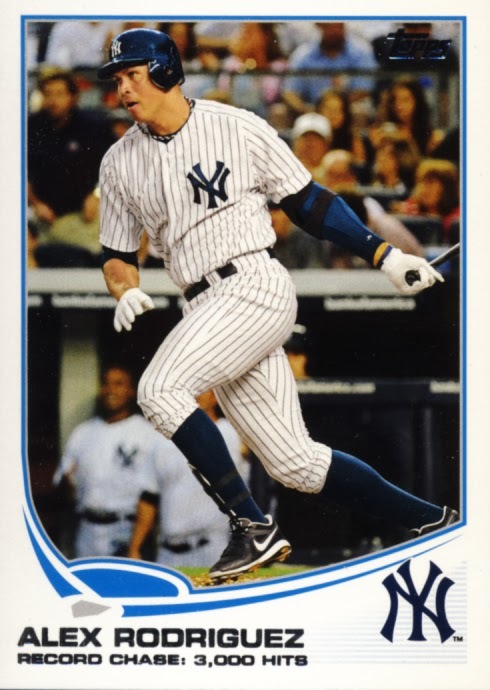 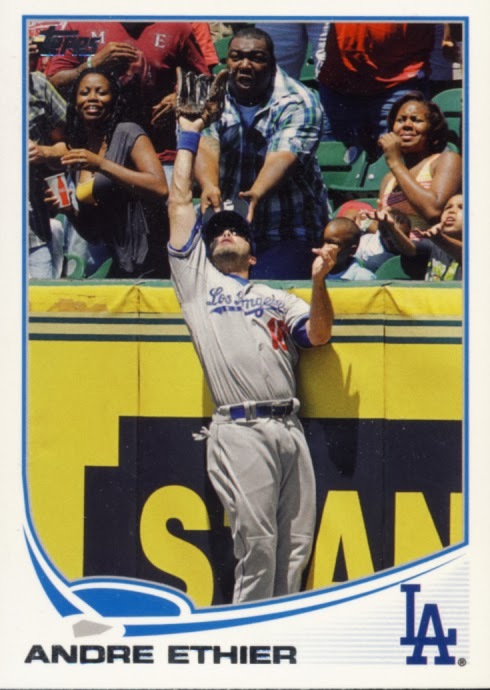 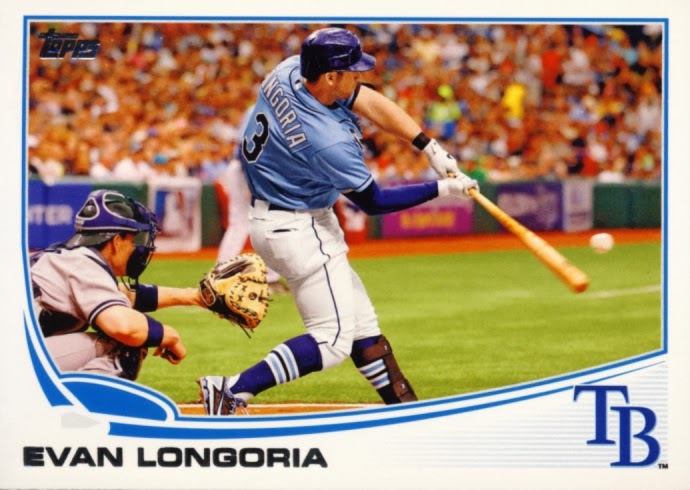 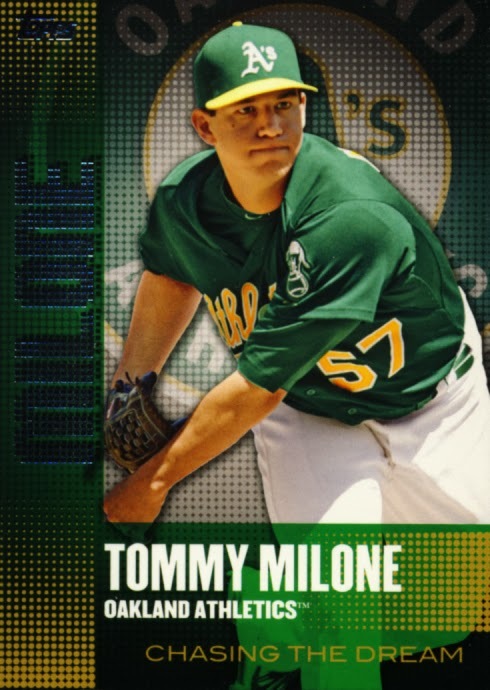 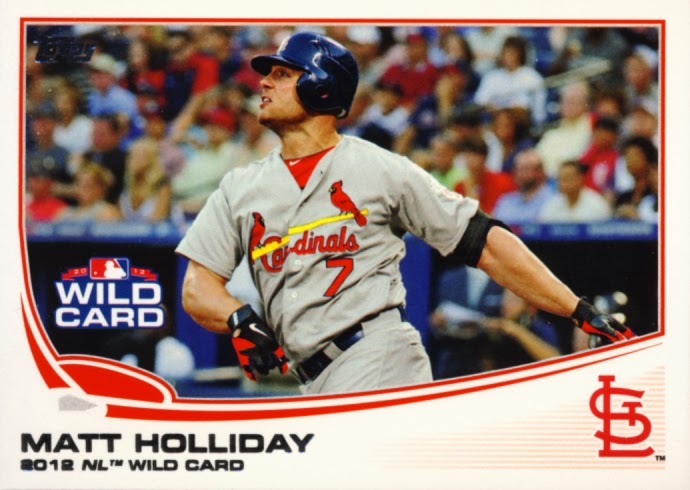 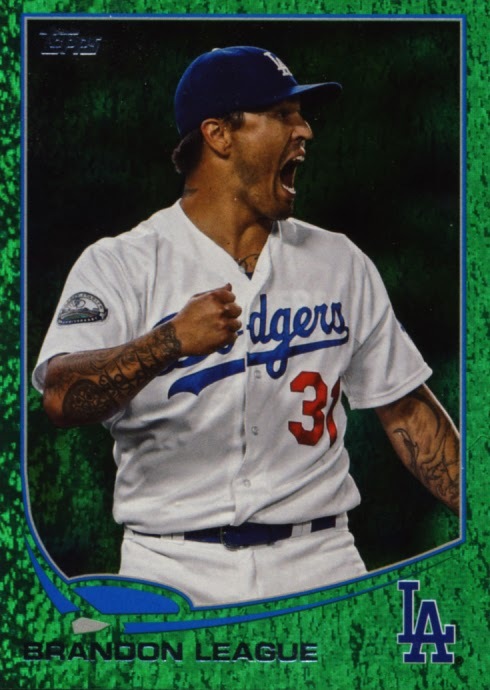 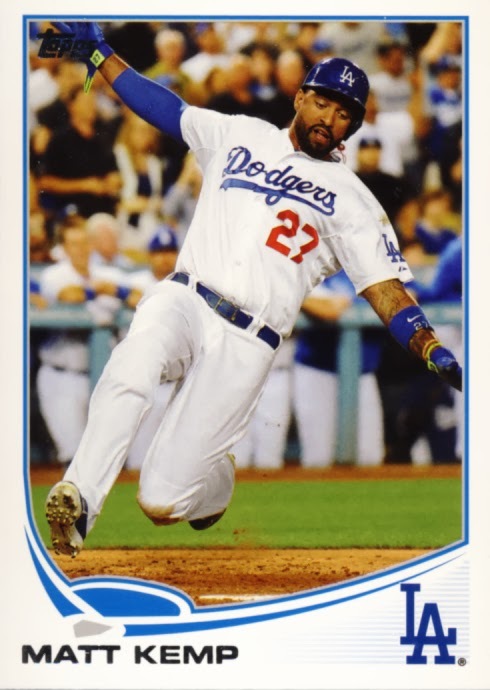 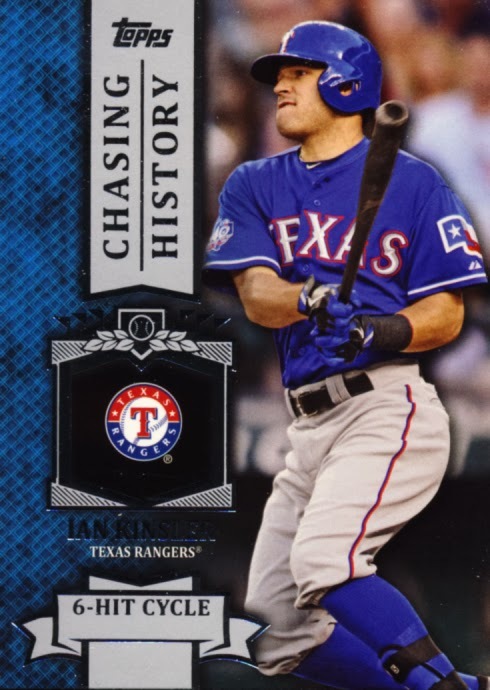 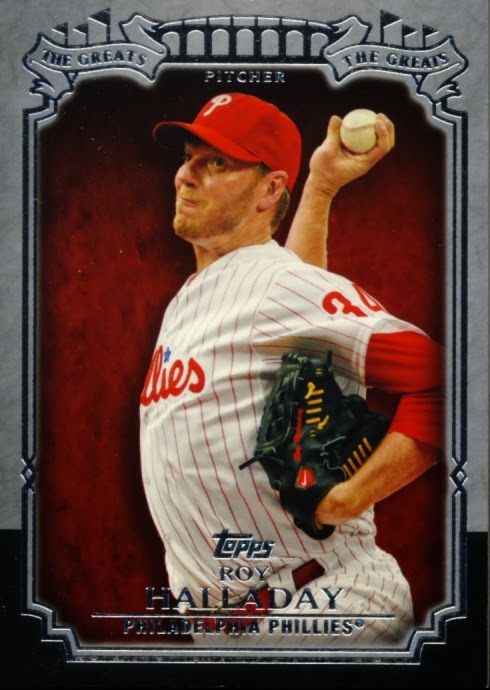 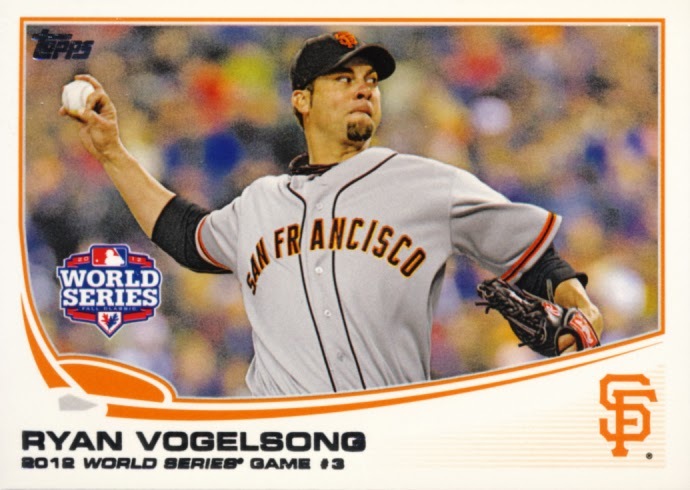 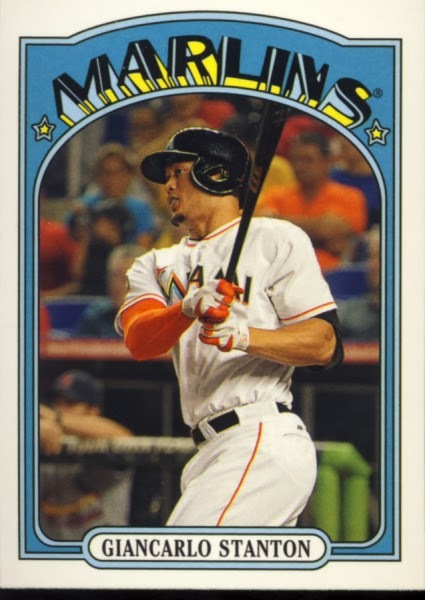 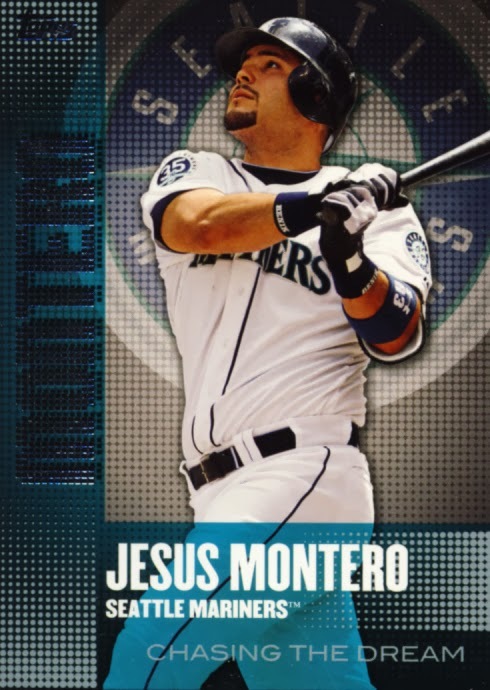 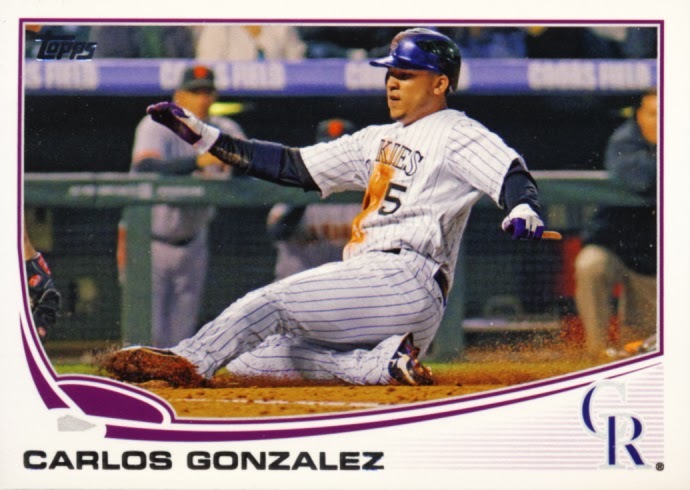 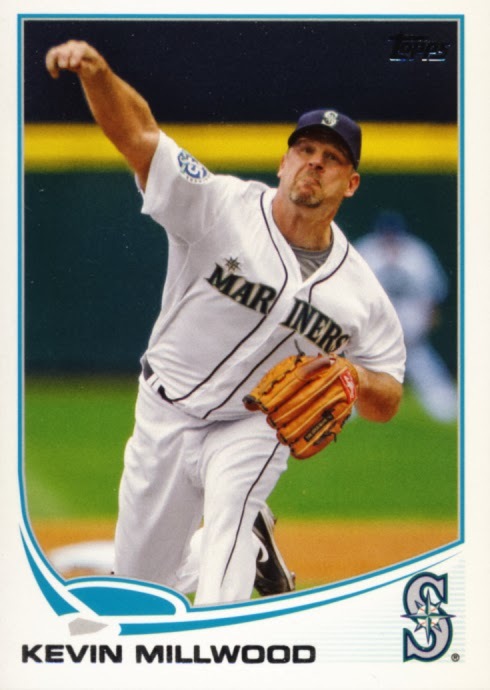 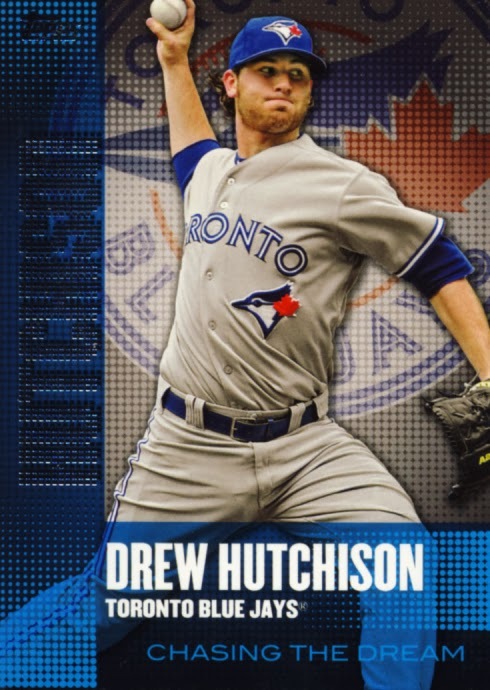 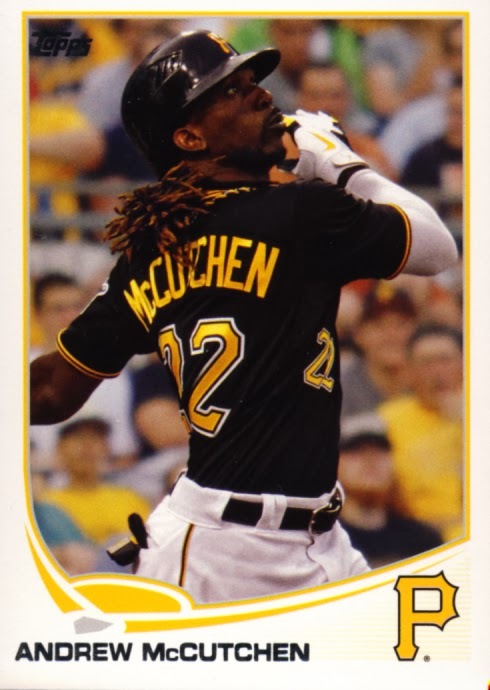 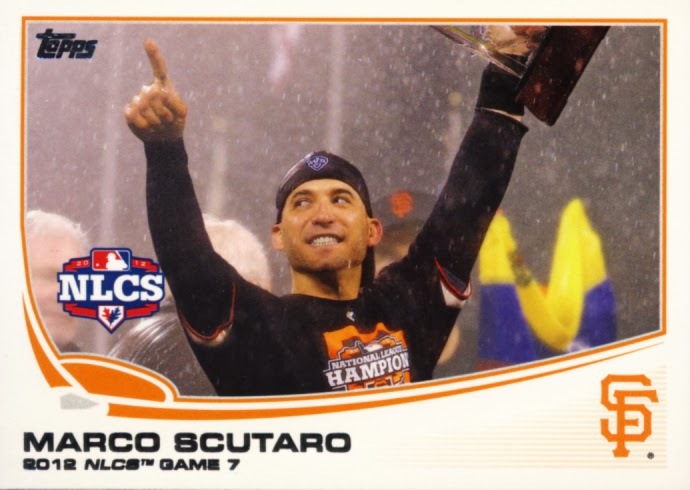 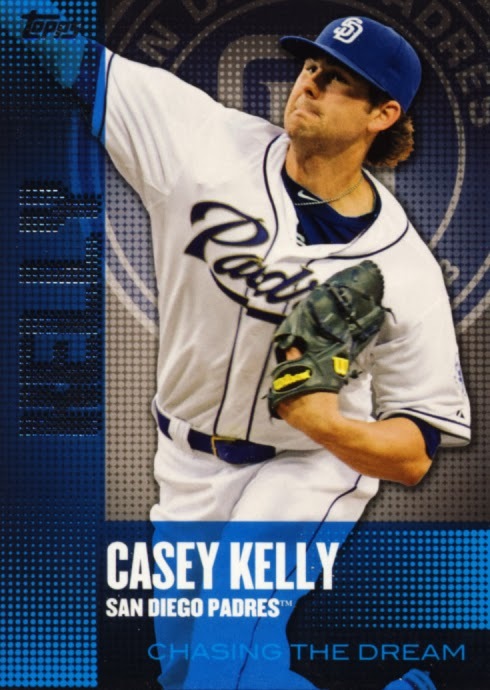 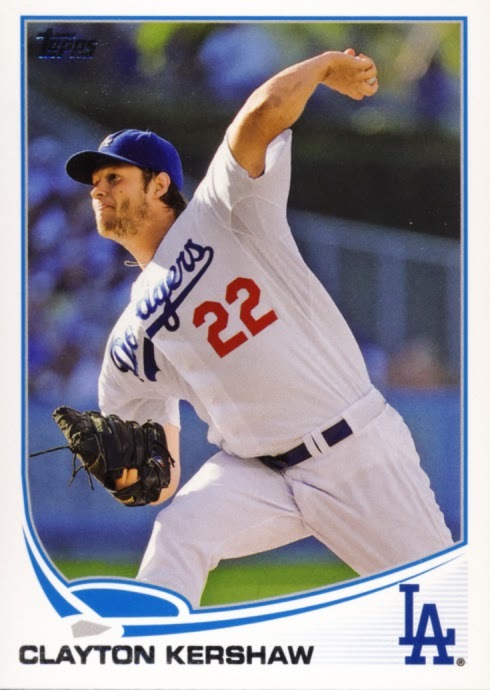 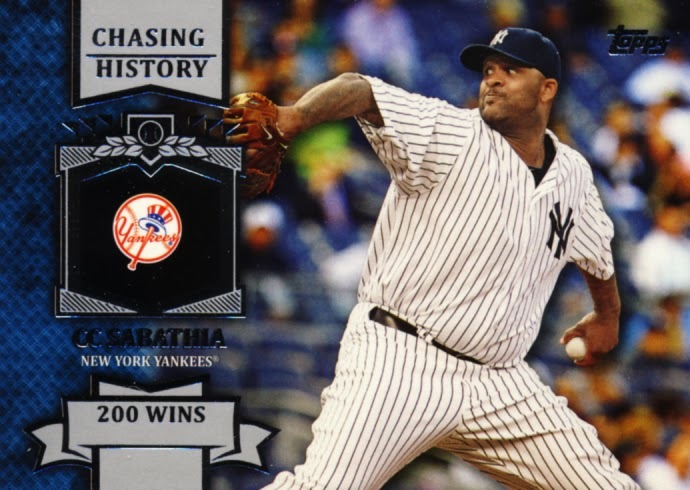 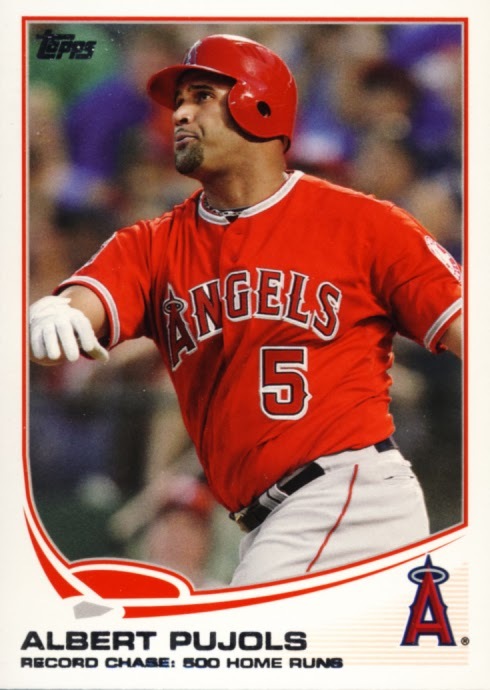 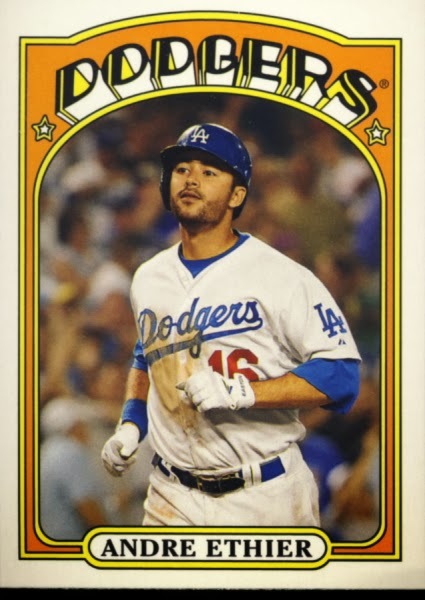 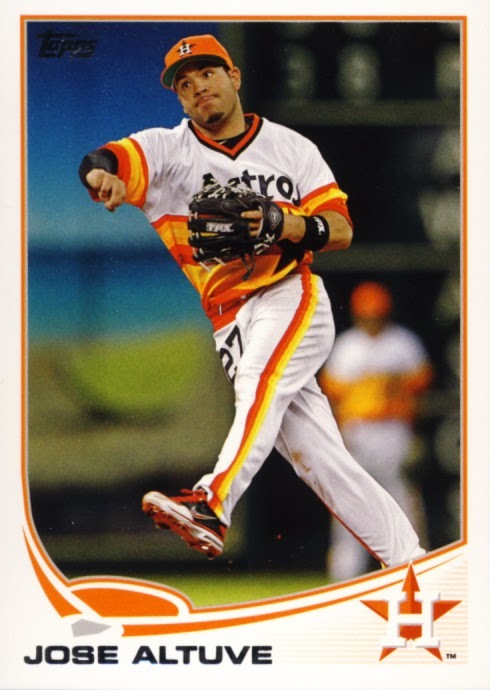 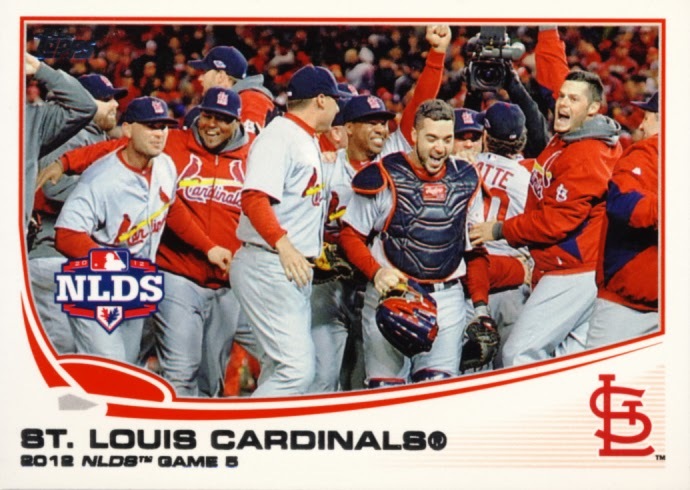 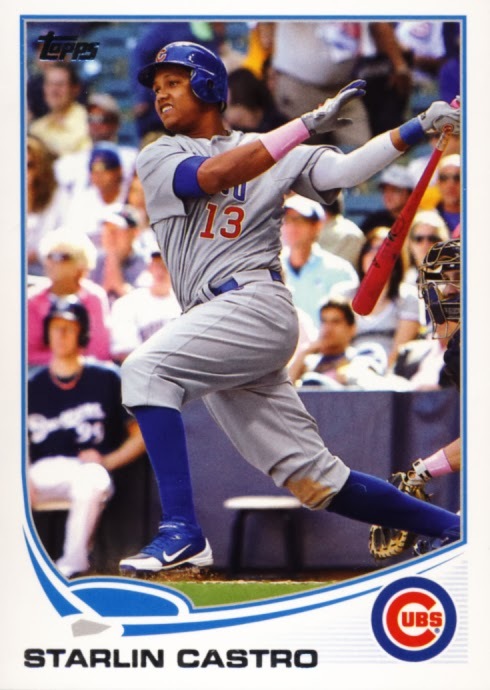 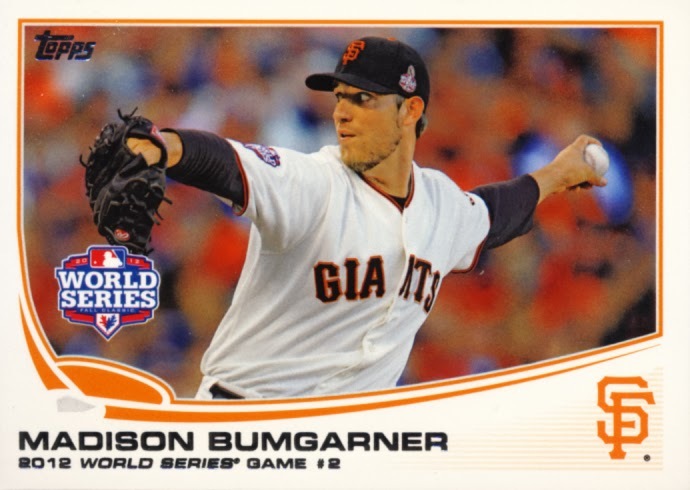 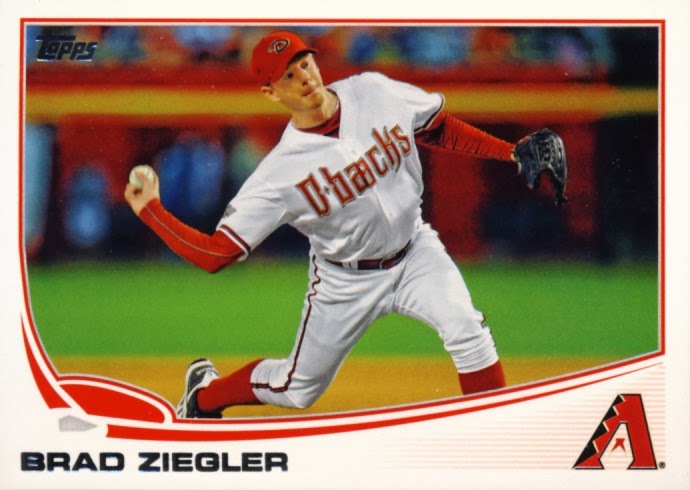 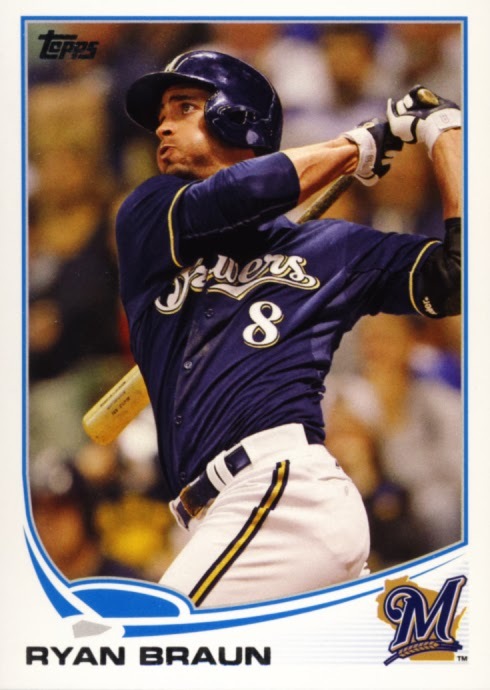 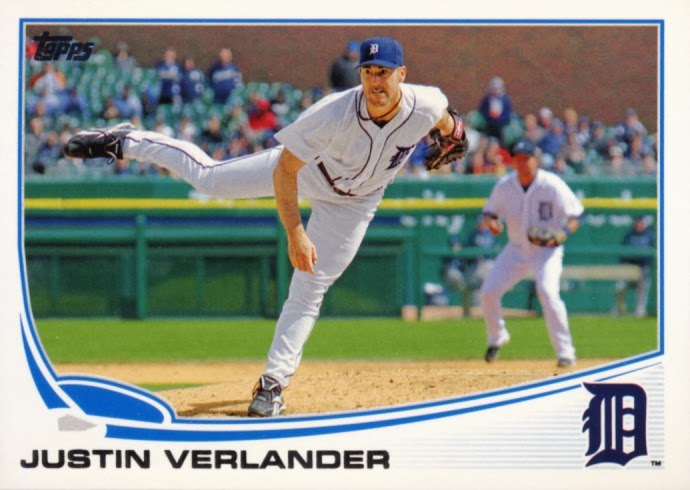 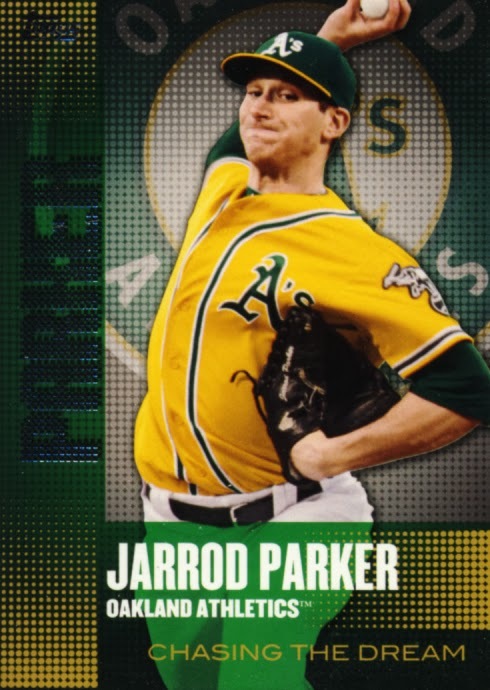 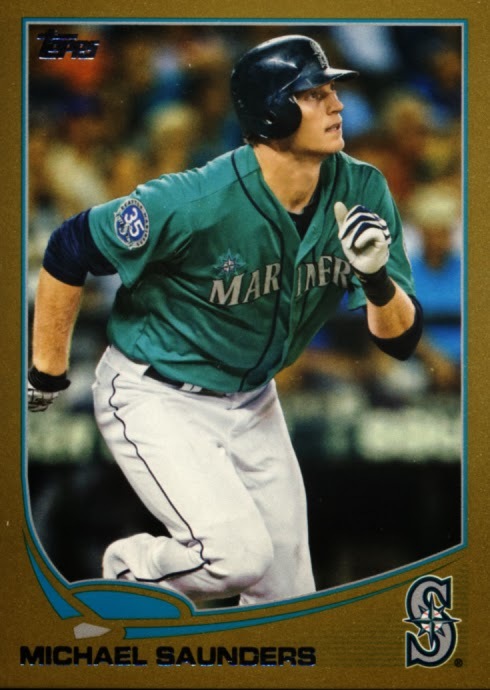 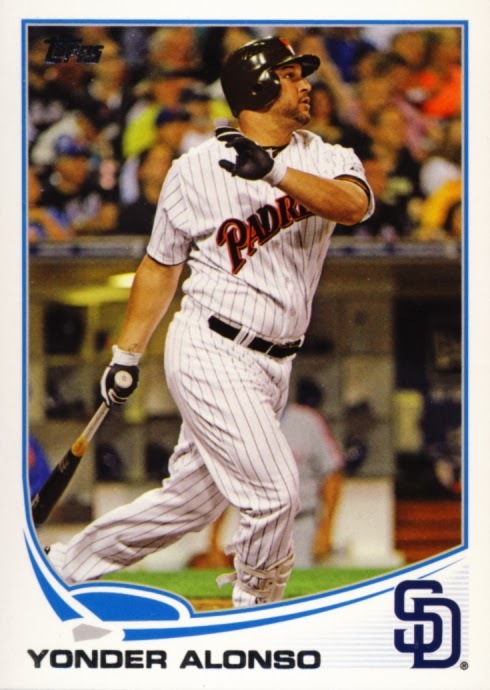 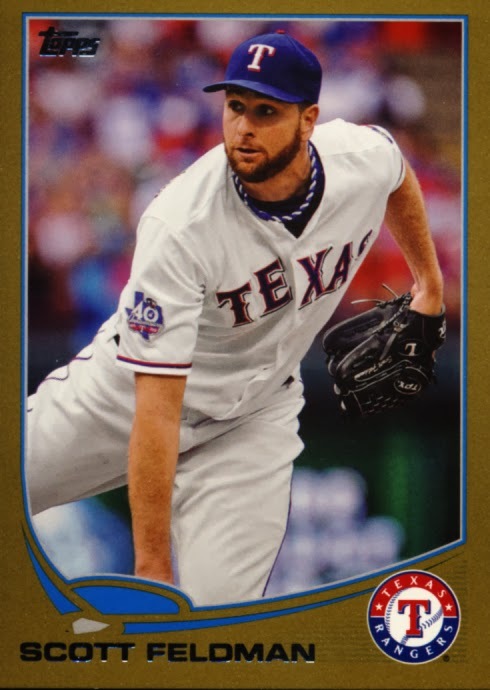 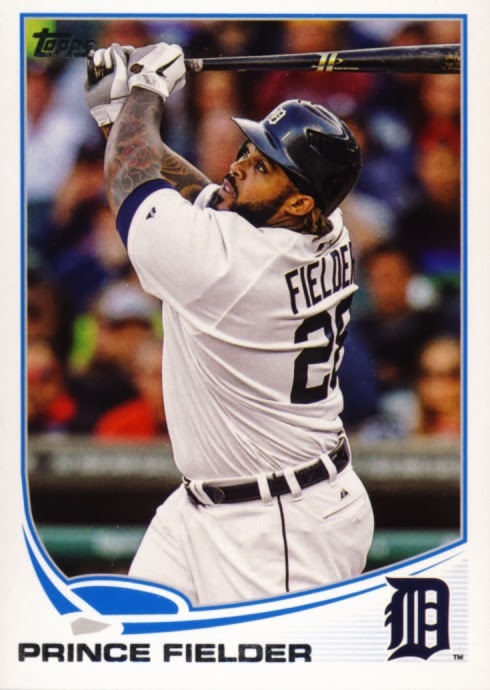 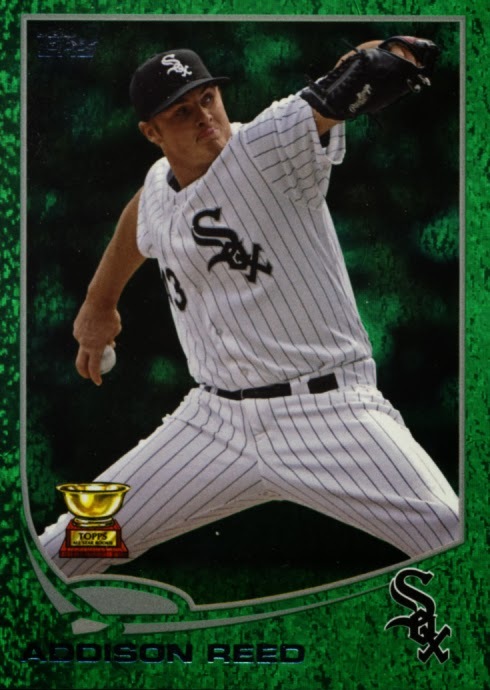 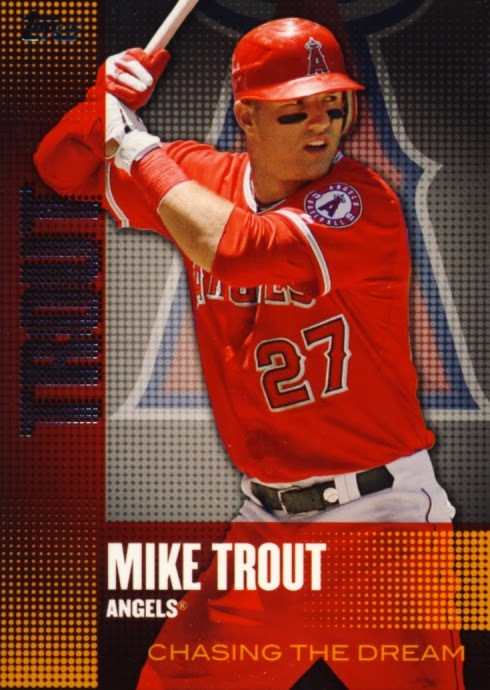 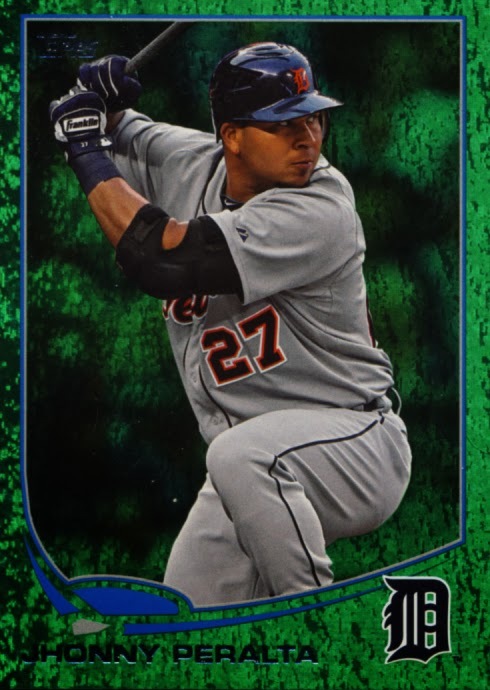 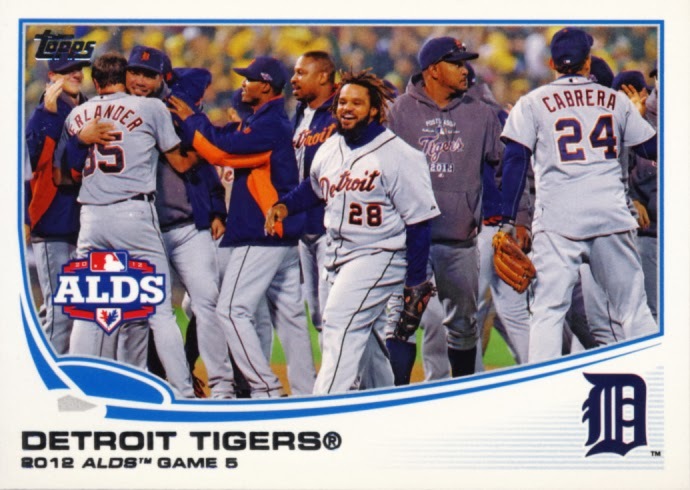 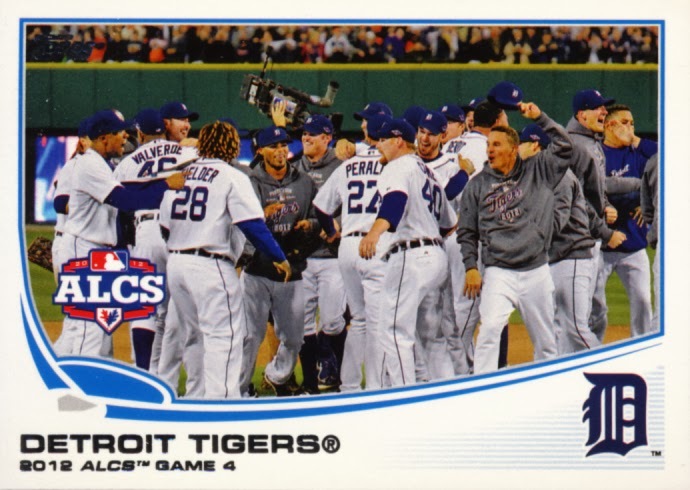 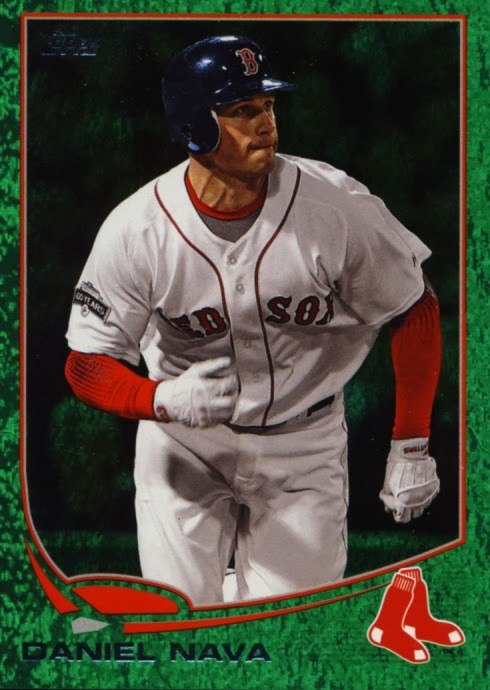 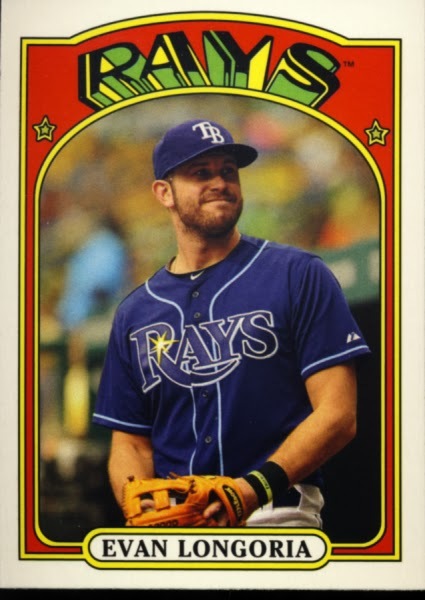 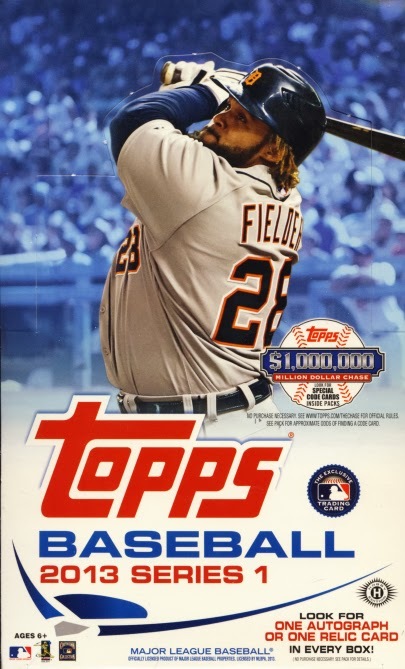 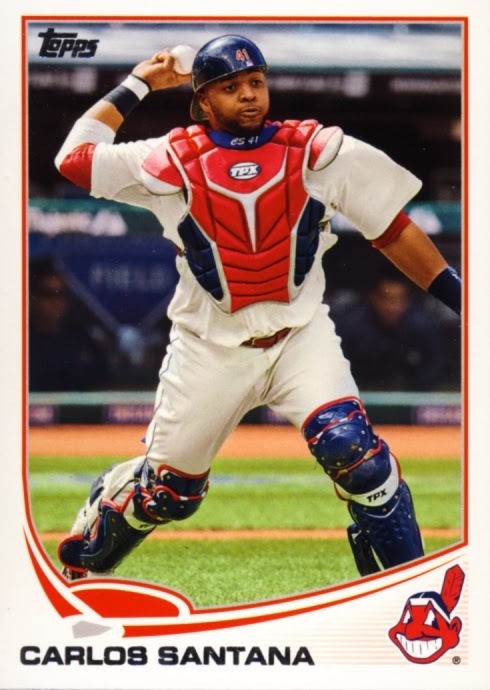 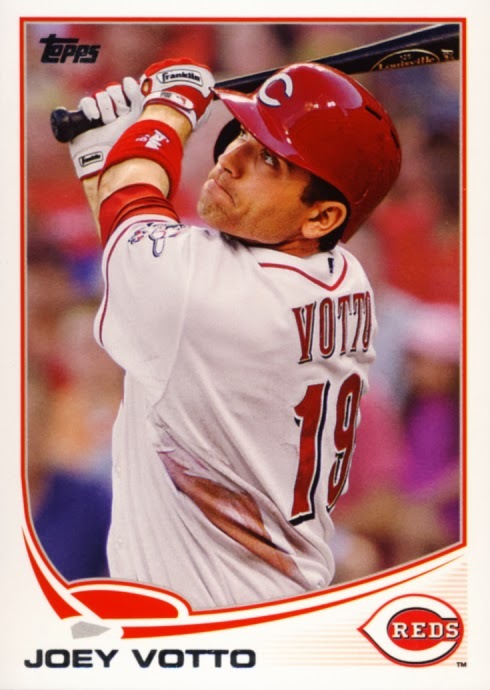 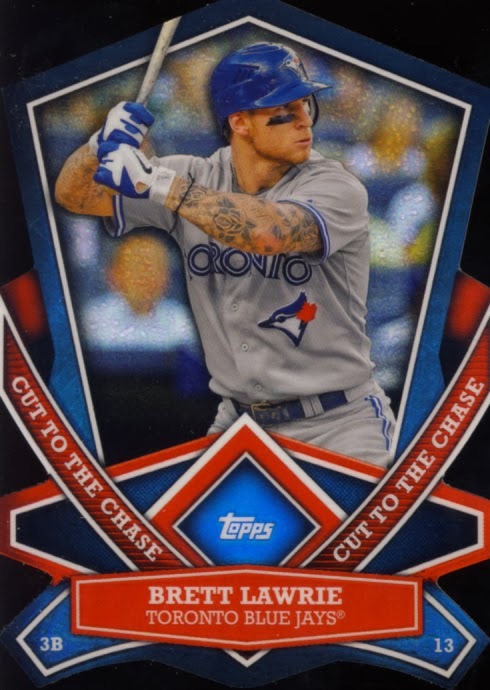 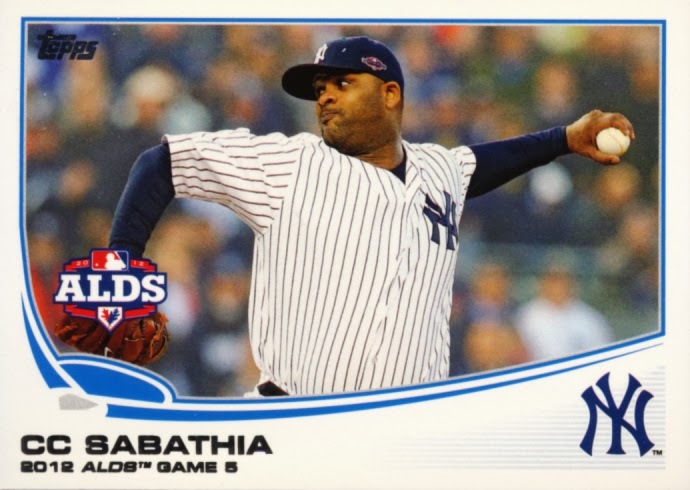 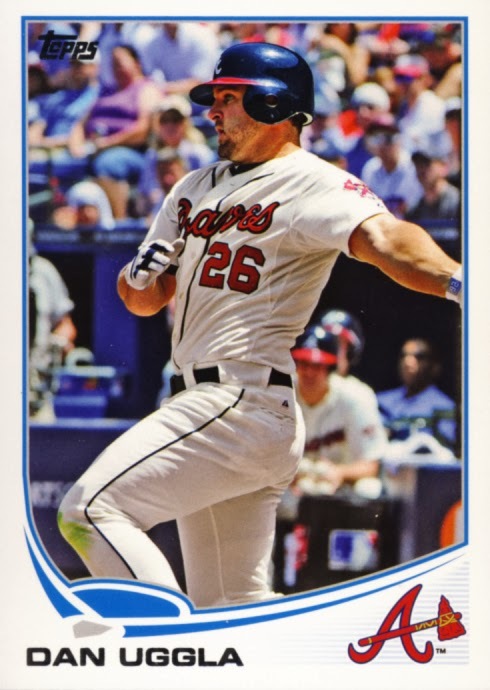 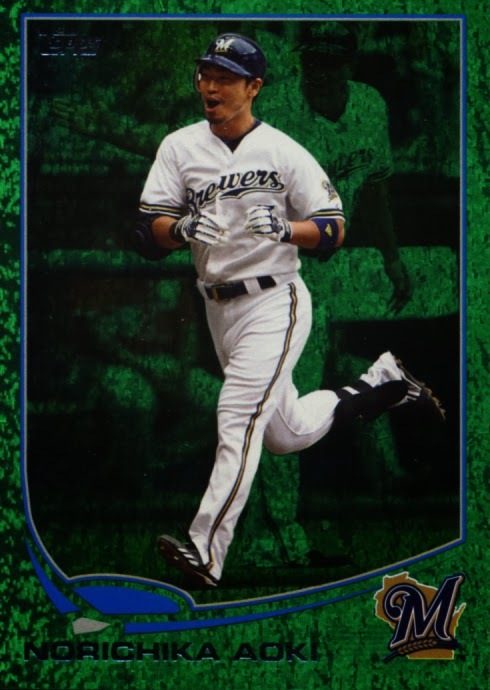 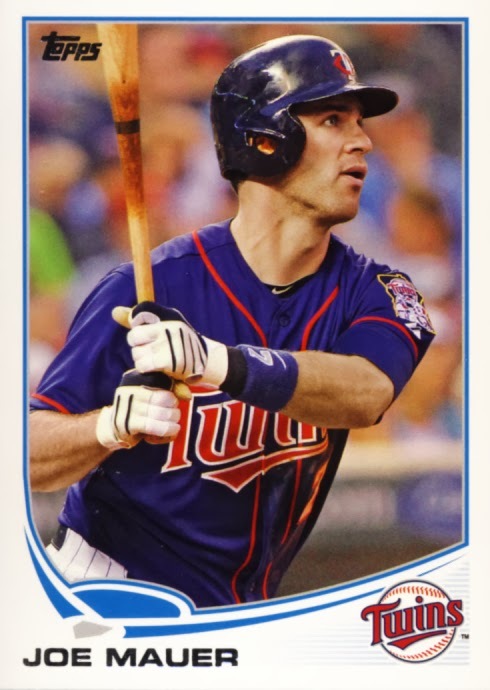 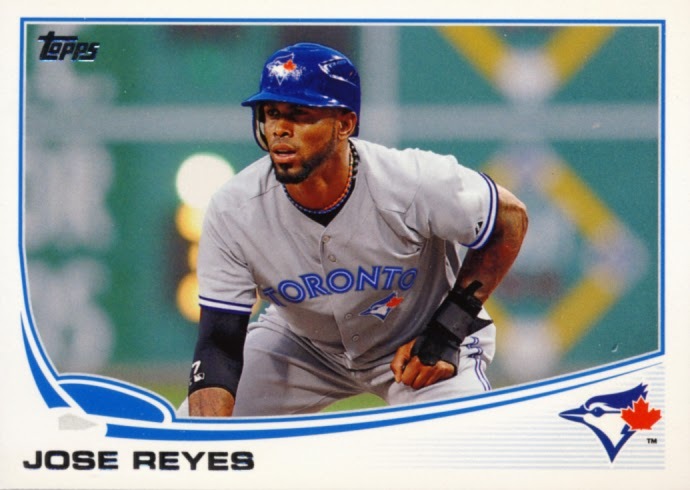 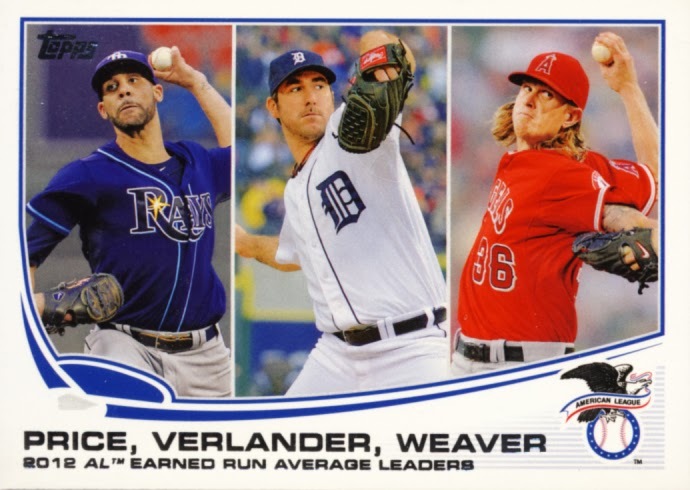 For a detailed description of the cards with Everything You Need To Know About 2013 Topps Baseball Series 1 Trading Cards, use this link. 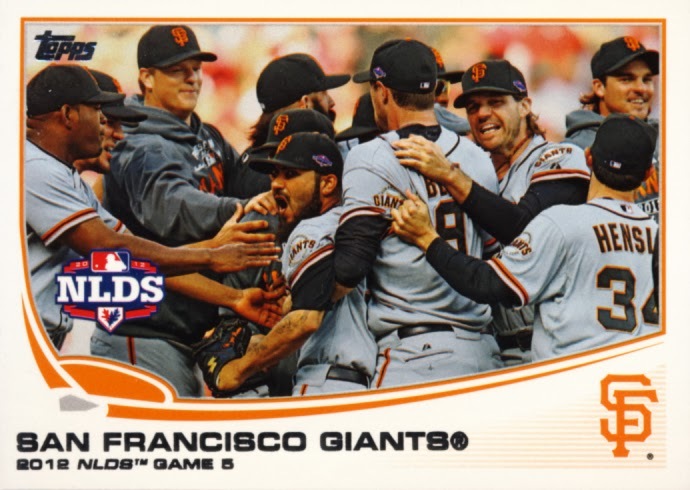 For the purposes of this review, we classify Series 1 as trading cards. 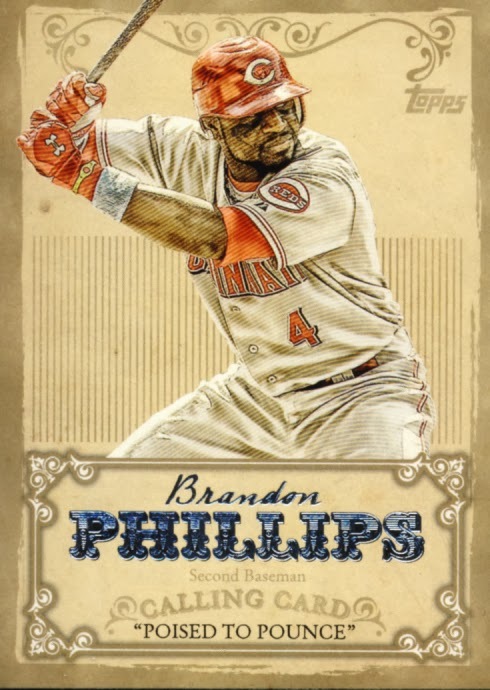 You can find Series 1 in a wide variety of configurations in both retail and hobby. 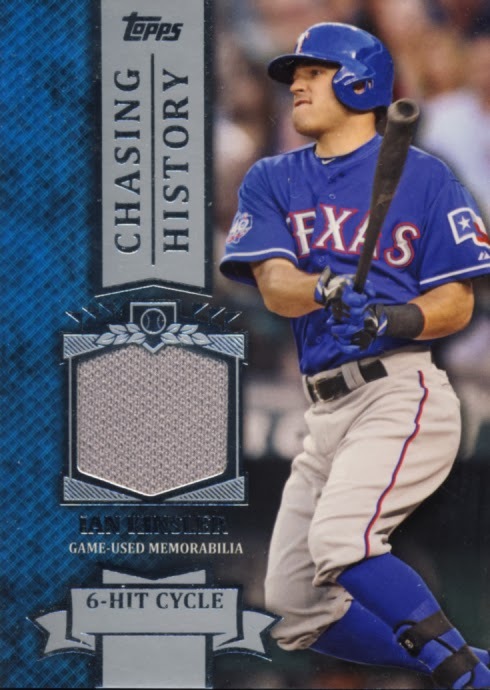 We opened a box hobby box which contained 36 – 10 card packs with a promise of 1 autograph or 1 relic card per box. 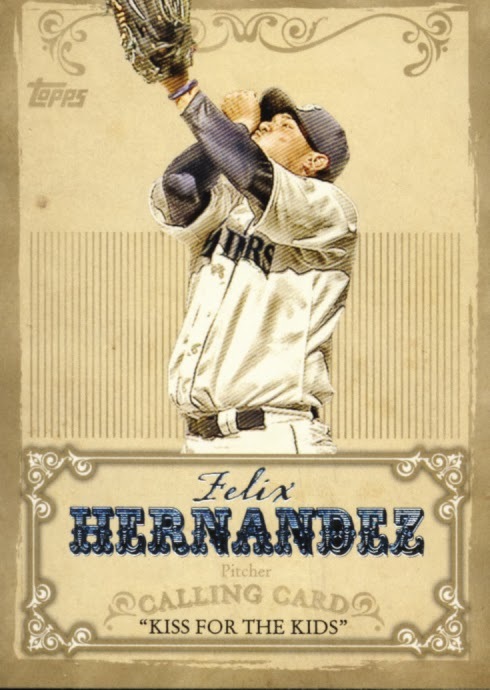 I like this year's base card design, even more than the insert design. 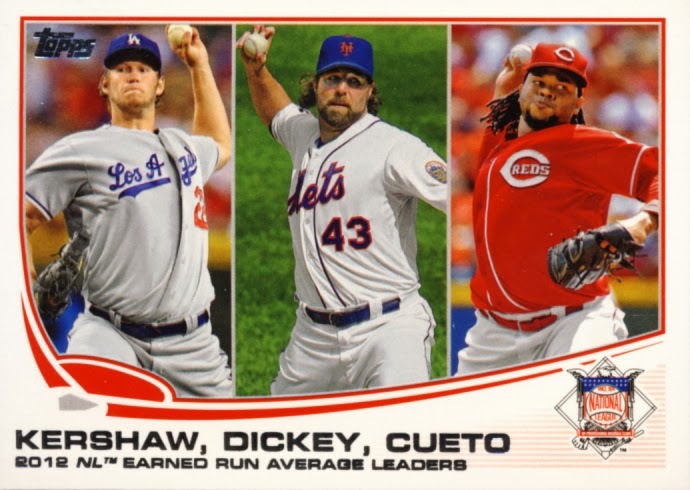 Standout inserts for me are the Cut to the Chase die cut cards I'm also digging on these minis. 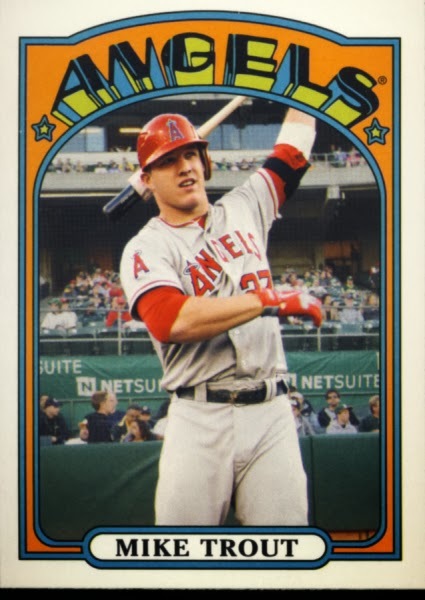 Hit cards are rather standard design, what we've come to expect from Topps flagship. 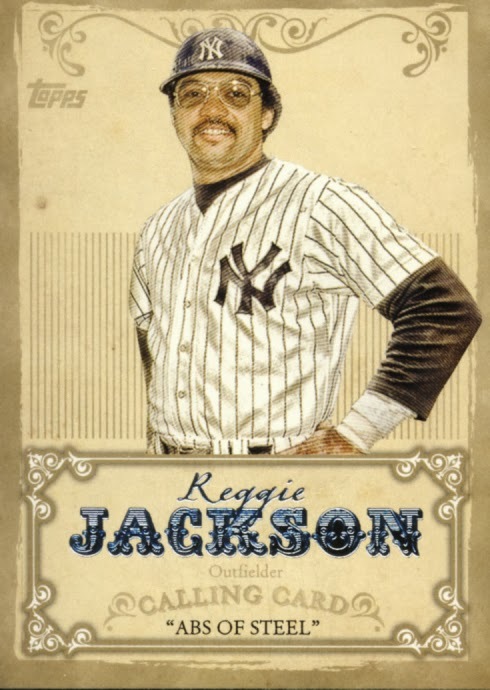 Topps has gone a long way this year to secure some of the best legends of the game which is fantastic. 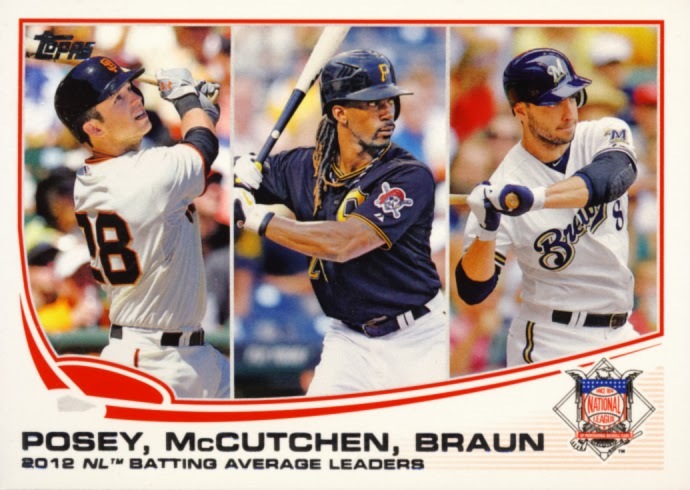 The base set is as complete as you could expect. 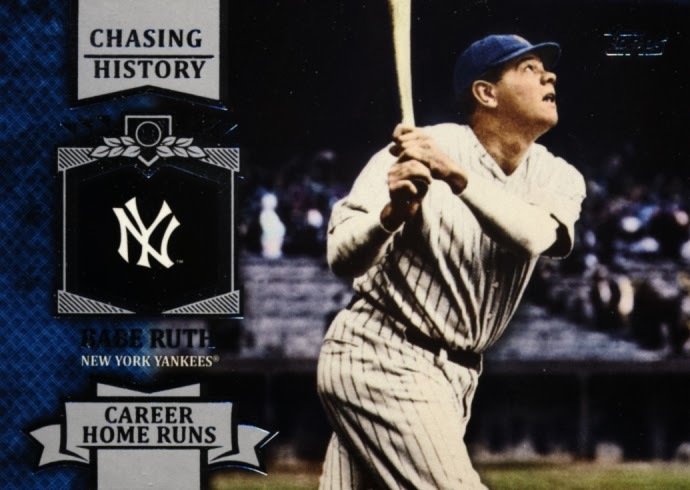 There is a wide enough variety of hits, autos, relics and manufactured that are desirable. 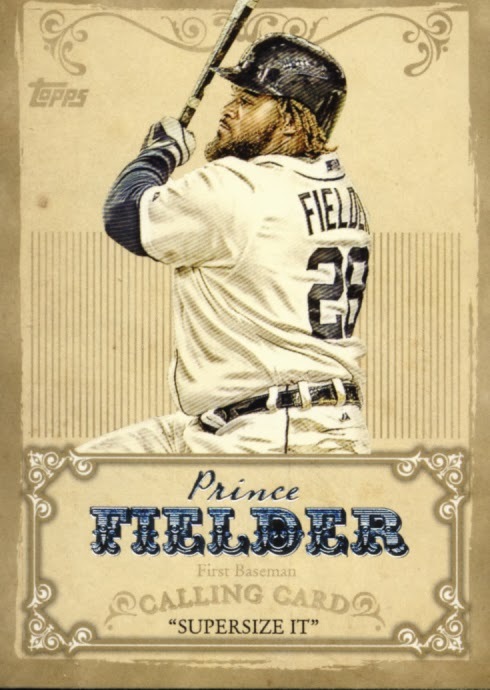 The set is compelling enough this year to make collectors toy with the idea of going for a master set. 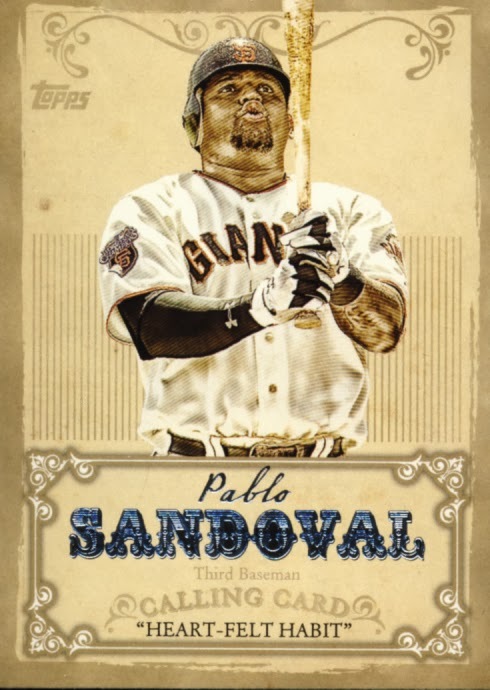 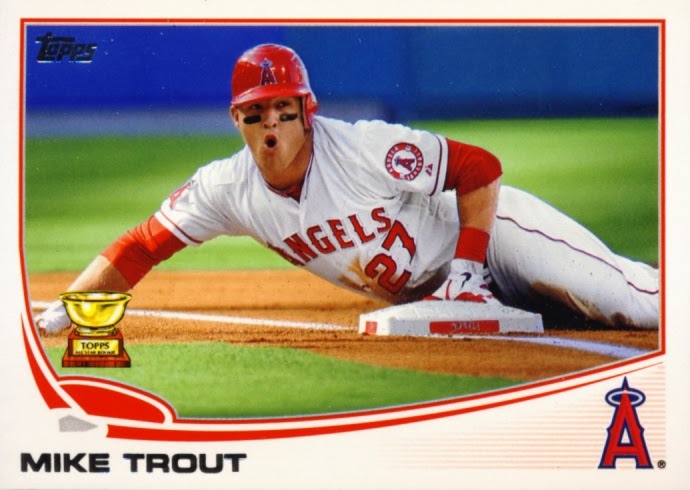 2013 Topps Baseball Series 1 is great for both beginning and seasoned collectors. 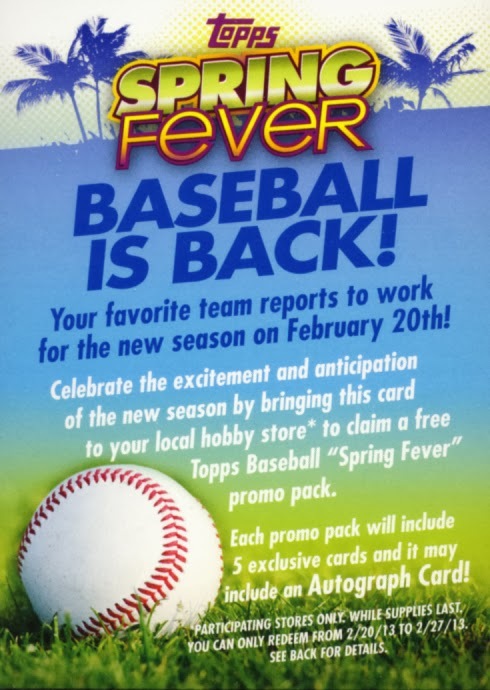 Your Baseball collection is incomplete without them.